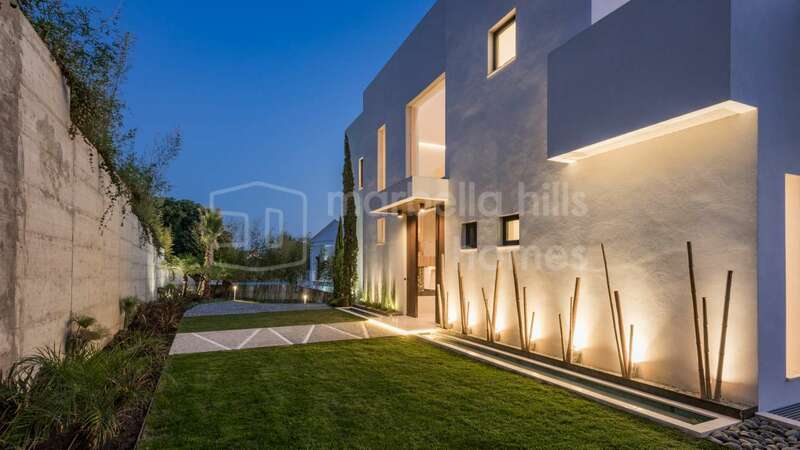 Although perhaps not that well known as some of its neighbouring urbanisations, La Alqueria, in the municipality of Benahavís is one of the most exciting up and coming areas. 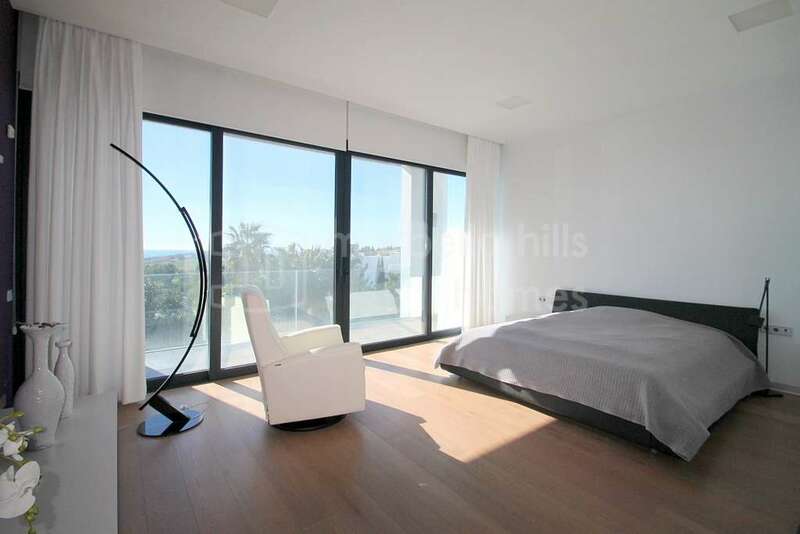 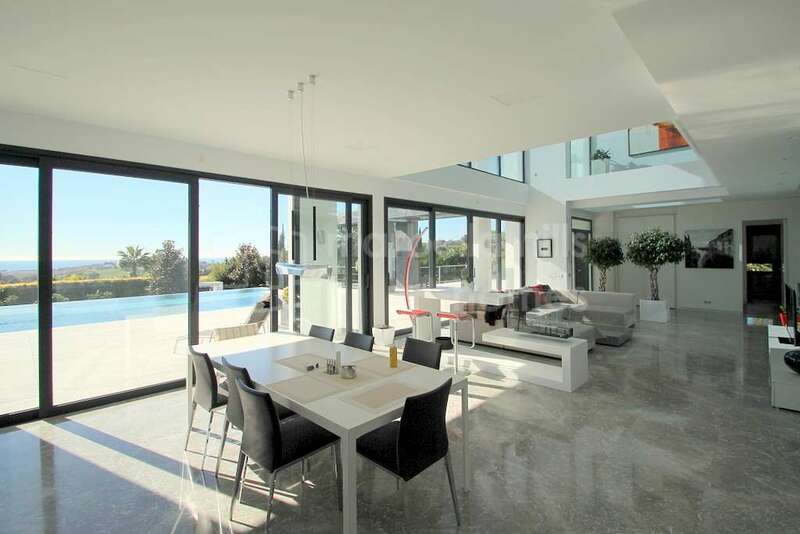 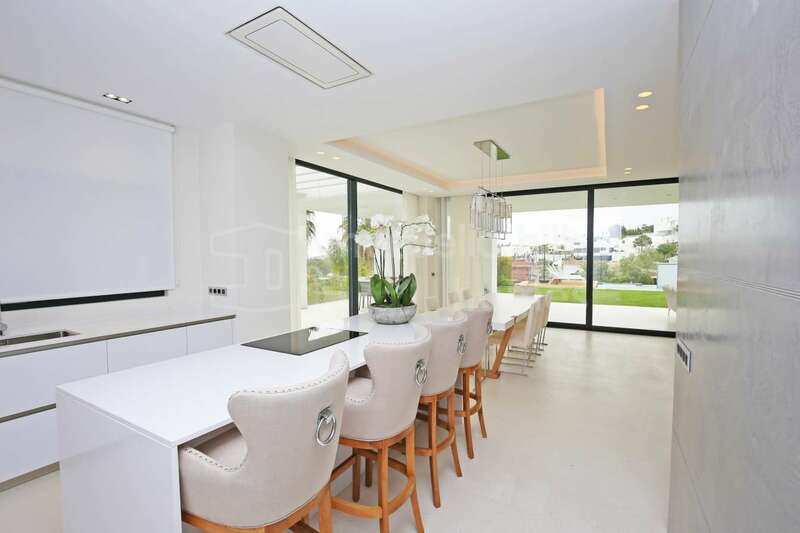 Loved especially by those who appreciate modern and contemporary architecture, La Alquería is home to some of the most inspirational homes on the Costa del Sol. 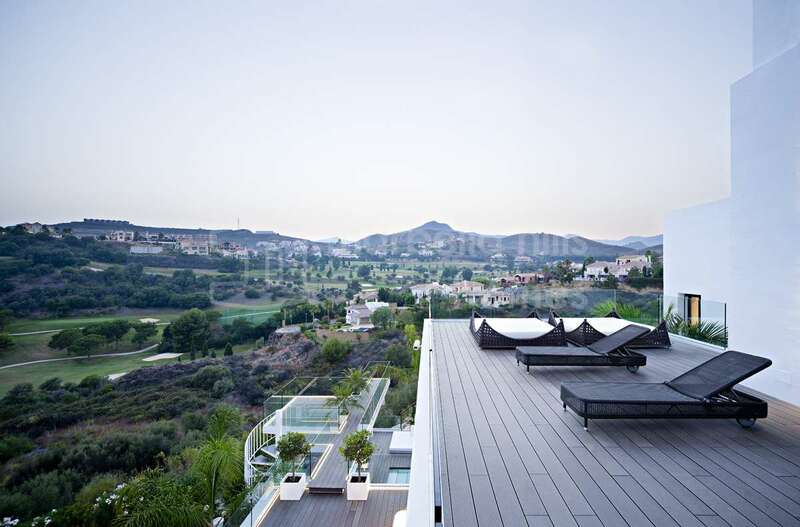 At the heart of La Alquería is Atalaya Golf and Country Club with its popular restaurant and two 18-hole golf courses. 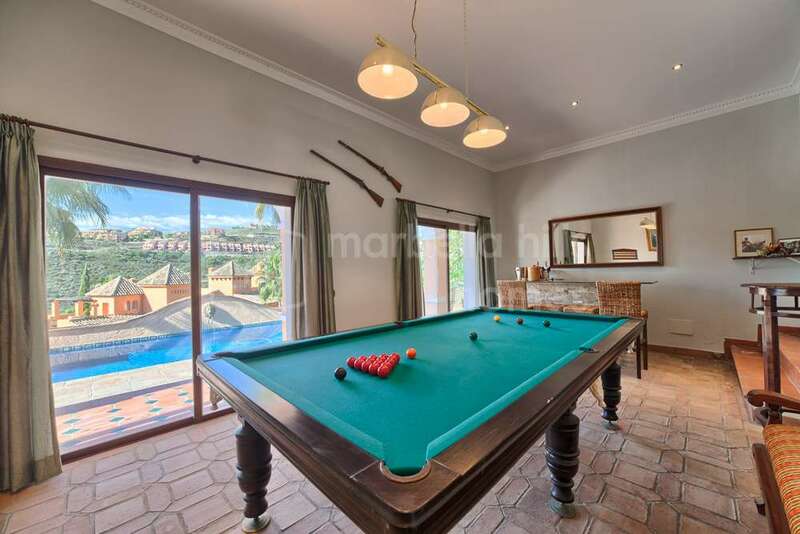 A membership club renowned for its well maintained, high quality courses with tree lined fairways and colourful, exotic flowers, at one point, the course is just a few hundred metres from El Paraiso Golf affording players staying in the area the opportunity to enjoy a round at either club. 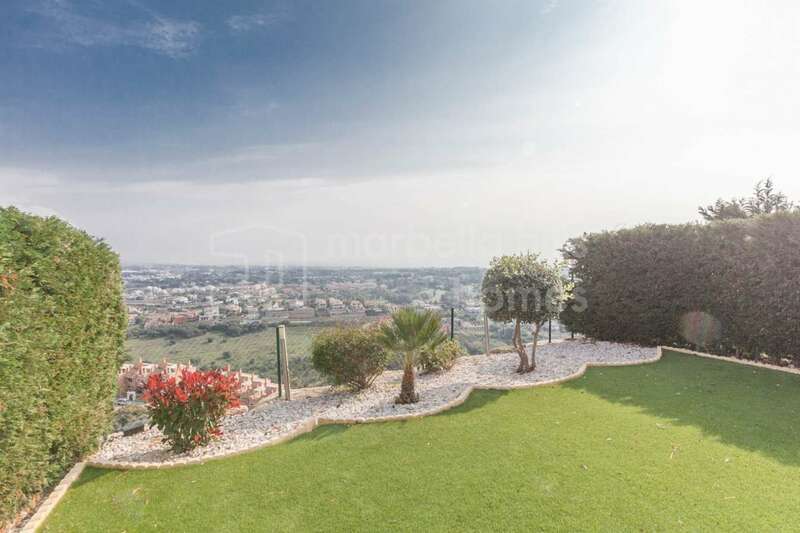 La Alquería winds around the north and east of Atalaya’s courses affording most properties amazing golf, countryside and sea views. 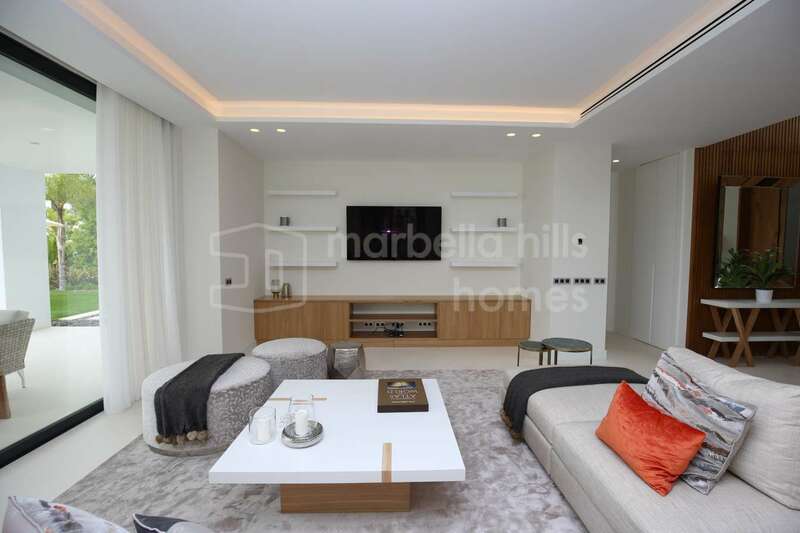 Although there are a couple of apartment complexes as you enter the urbanisation, you will find predominantly detached luxury villas on private plots and a smaller number of townhouse developments. 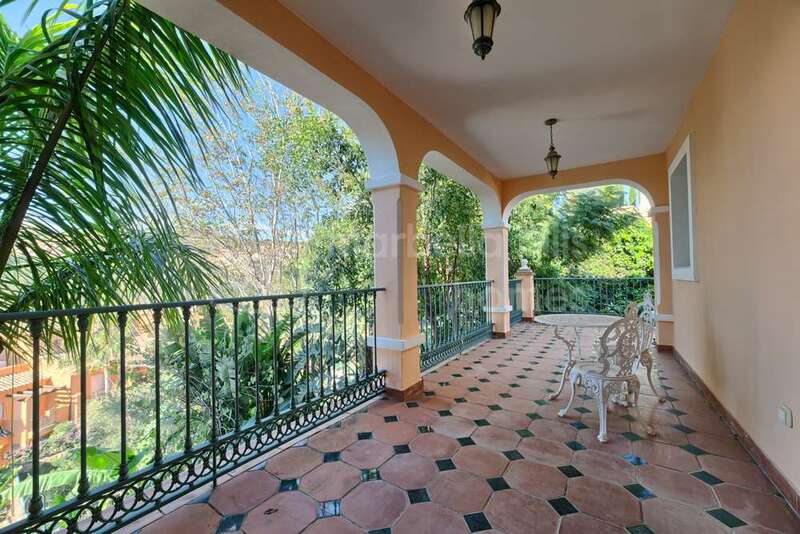 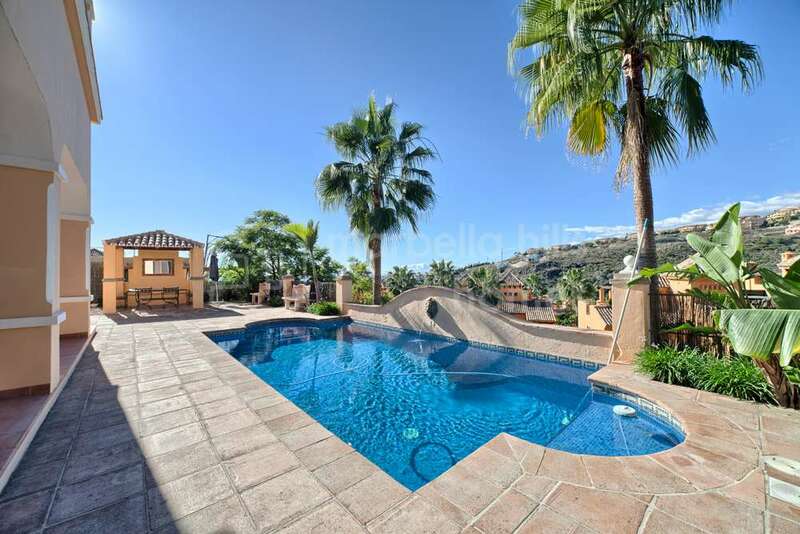 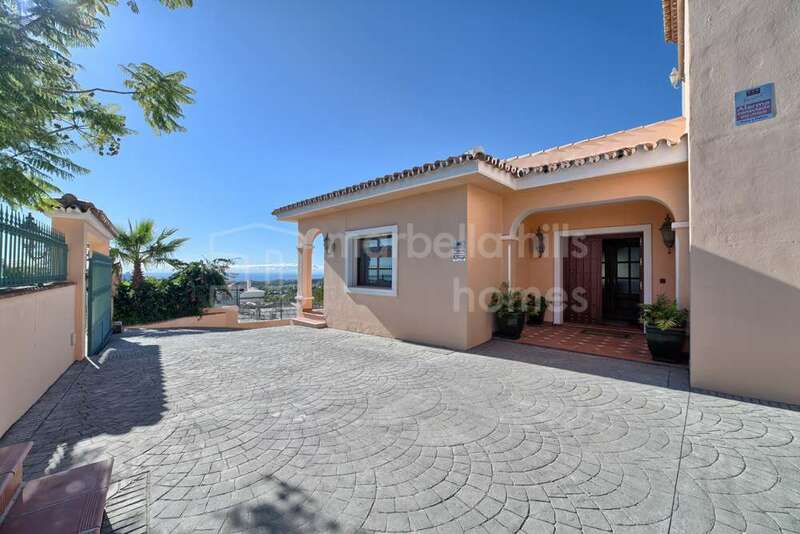 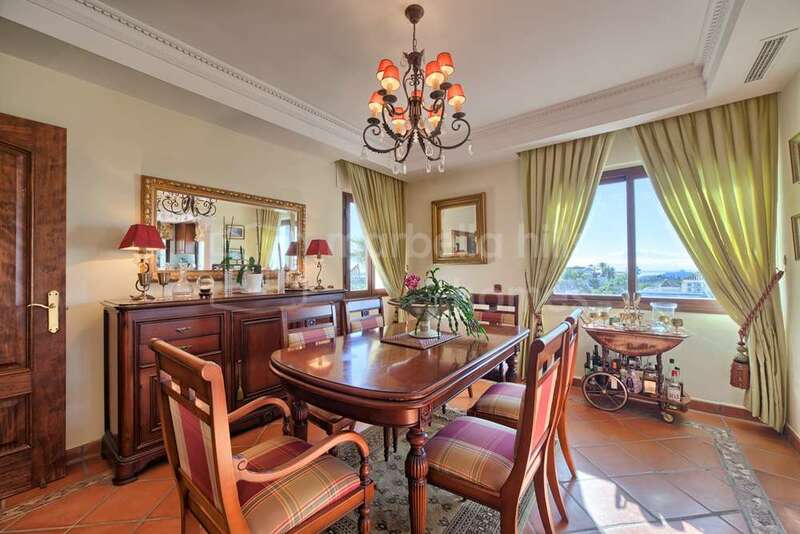 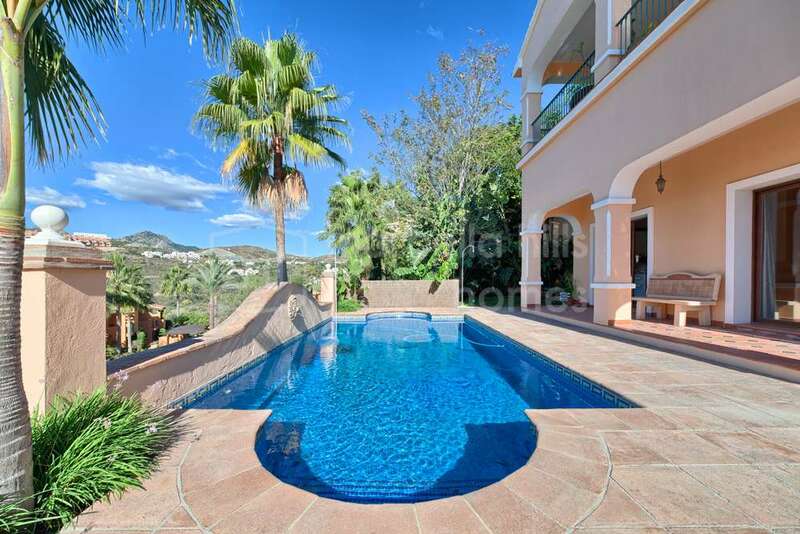 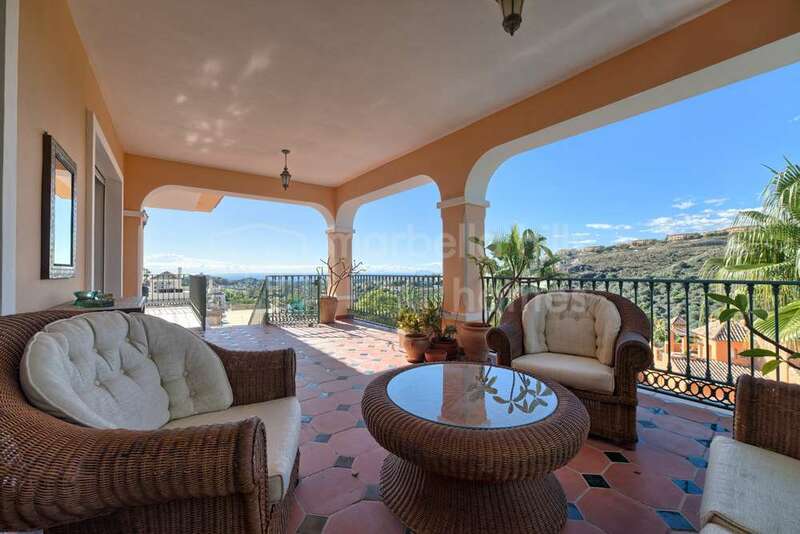 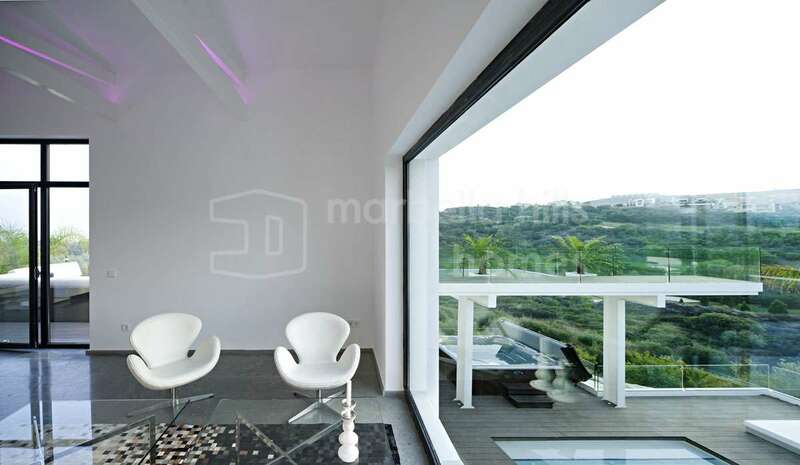 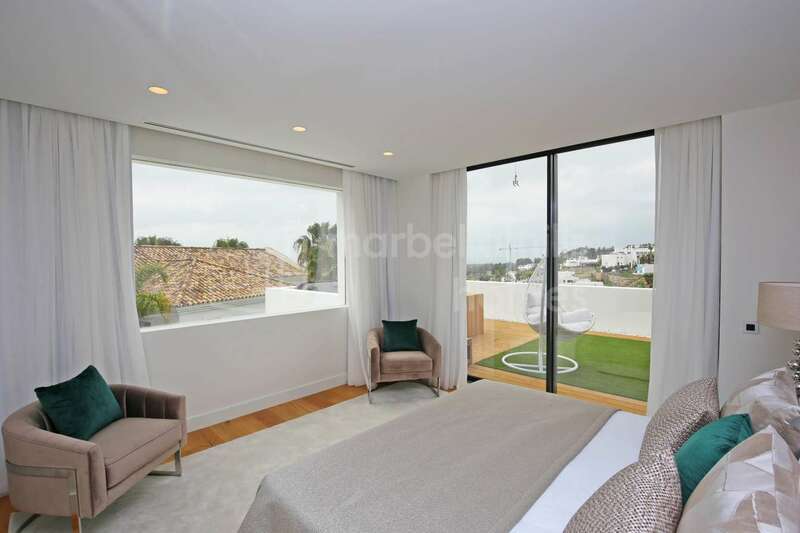 It’s virtually impossible to beat the views from this recently constructed townhouse in La Alquería. 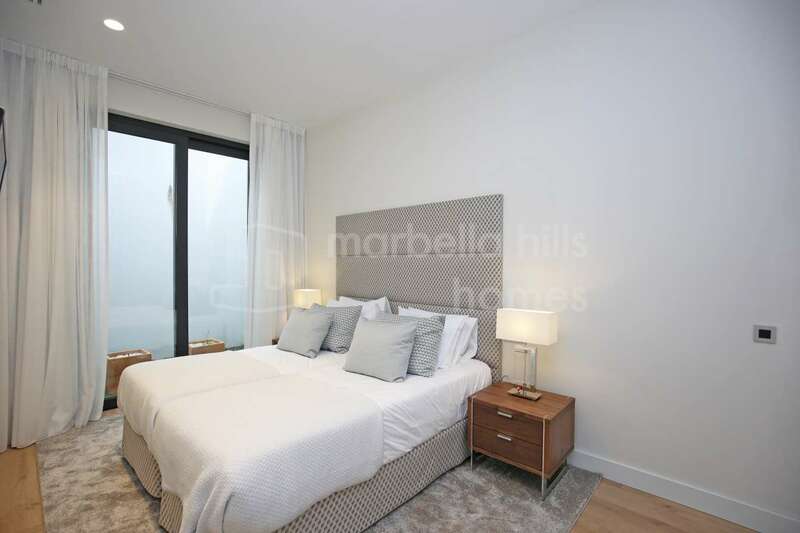 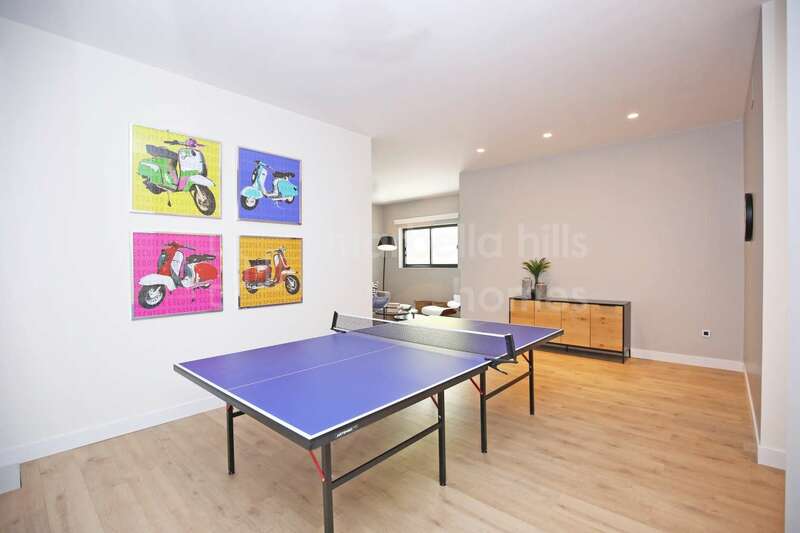 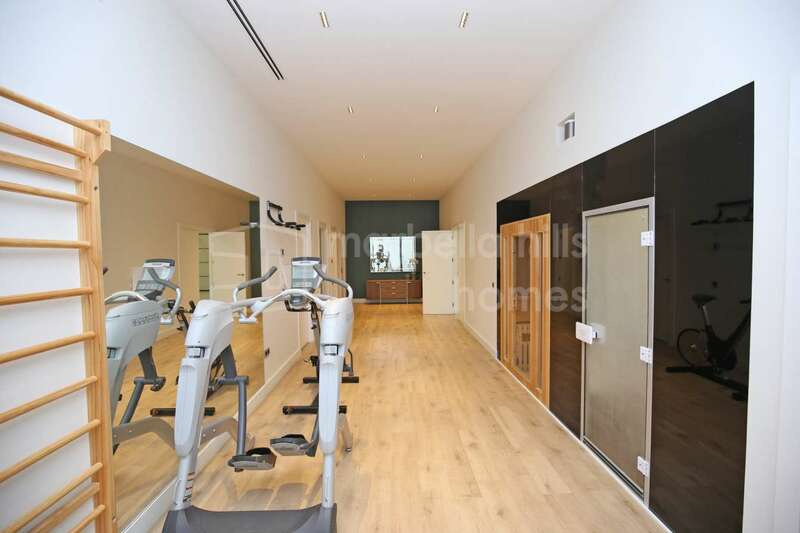 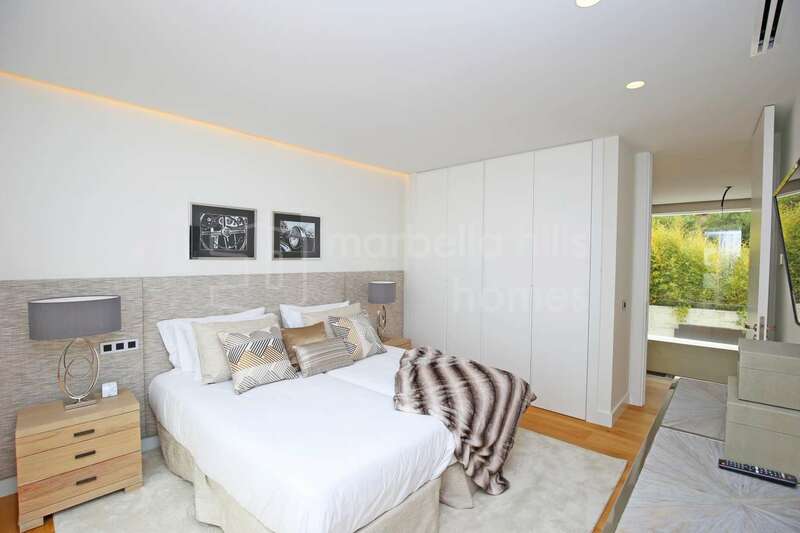 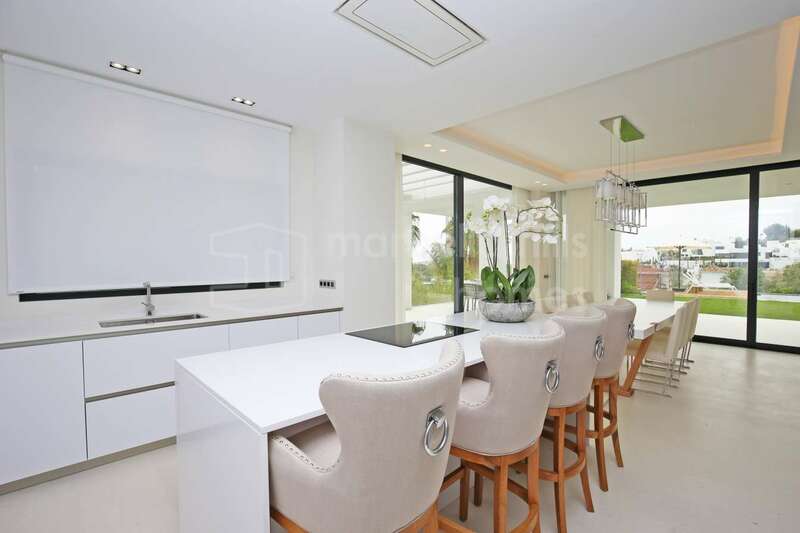 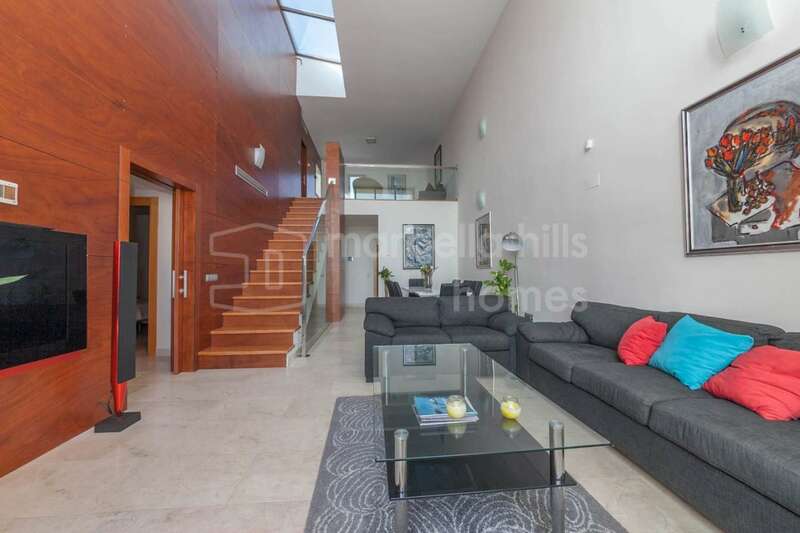 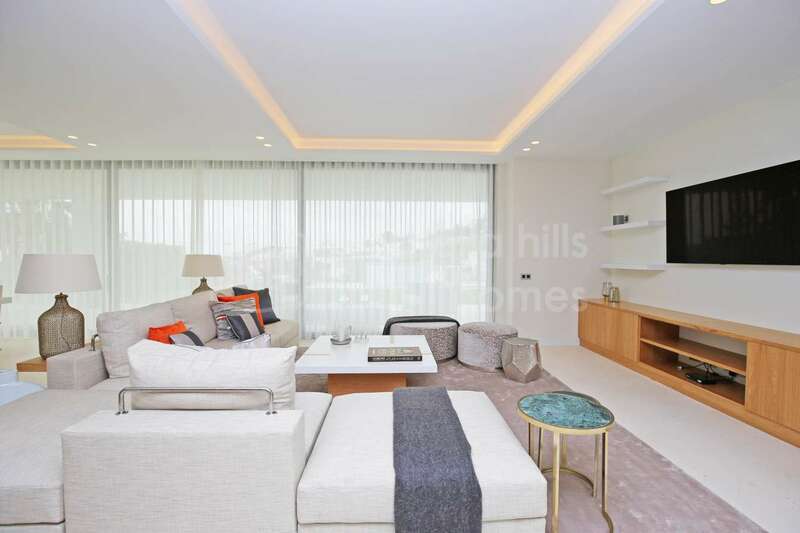 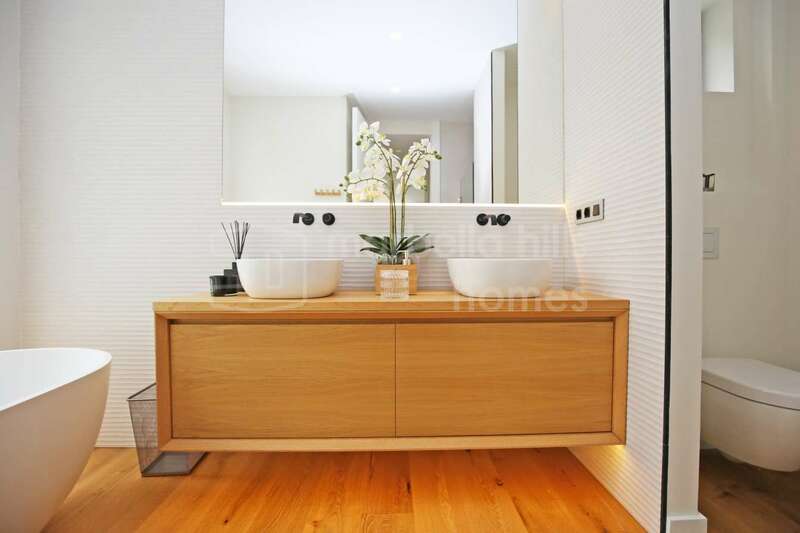 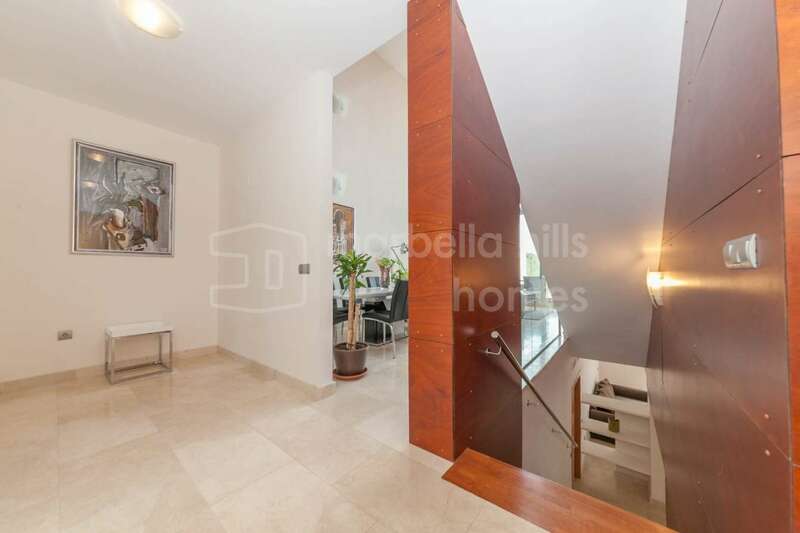 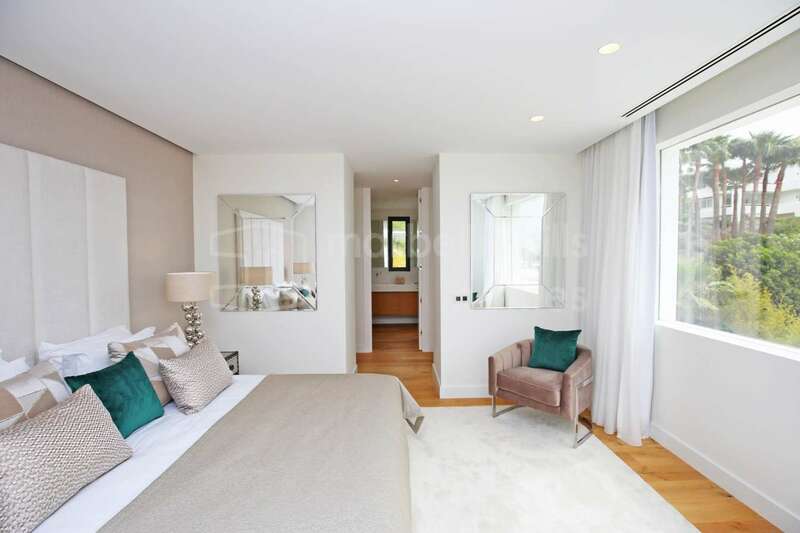 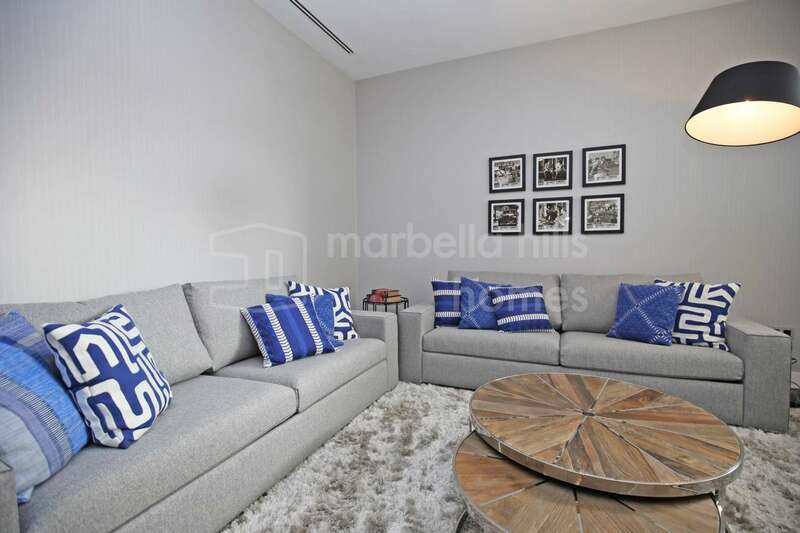 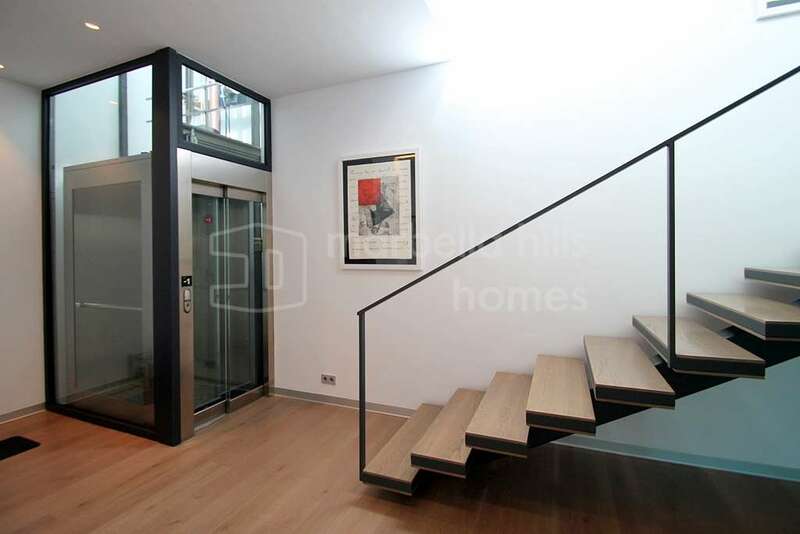 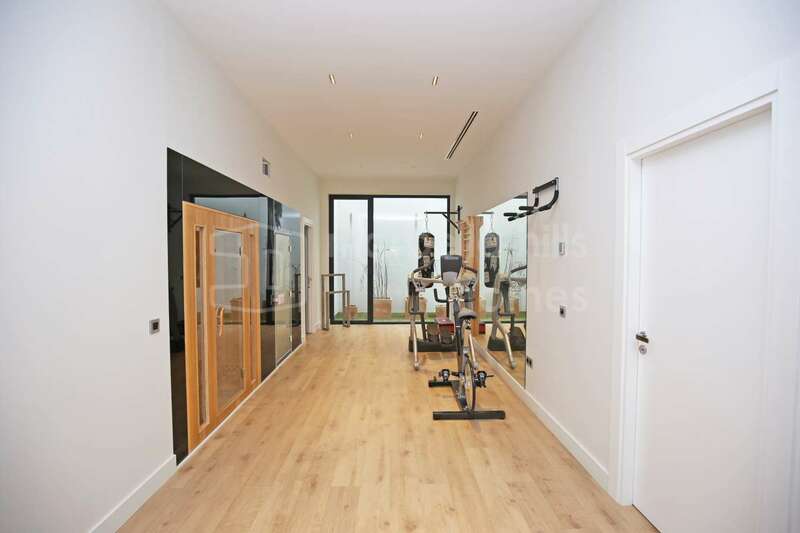 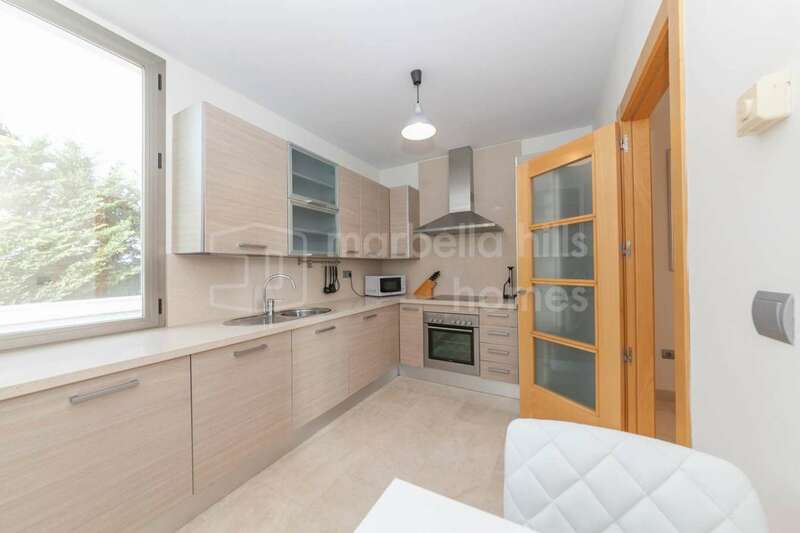 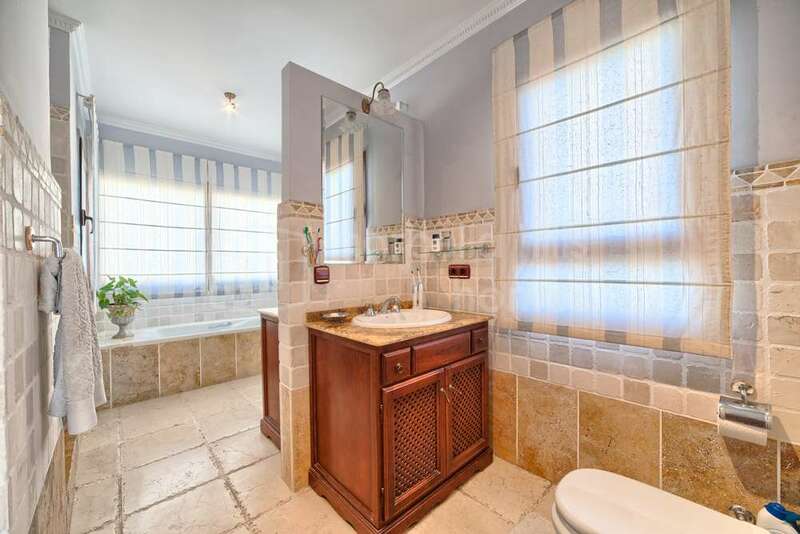 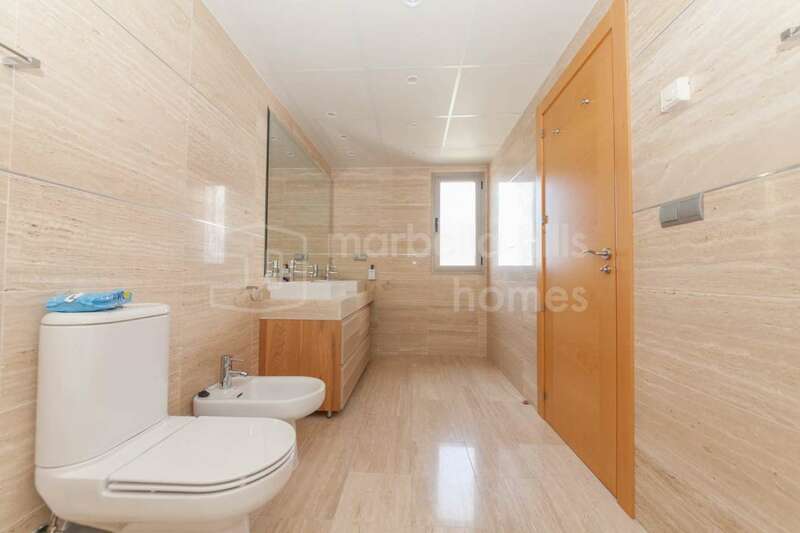 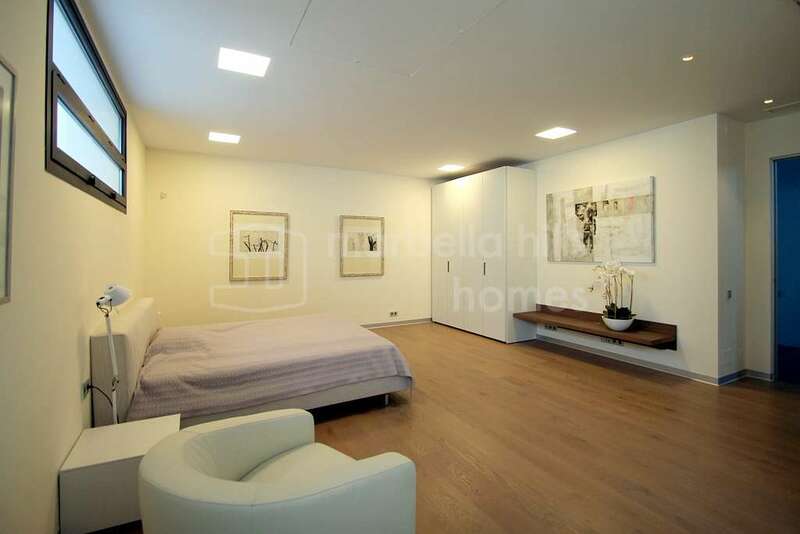 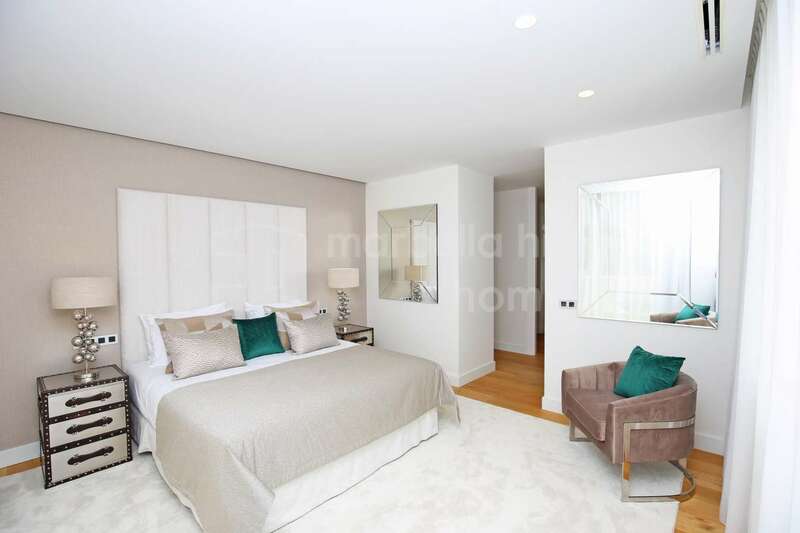 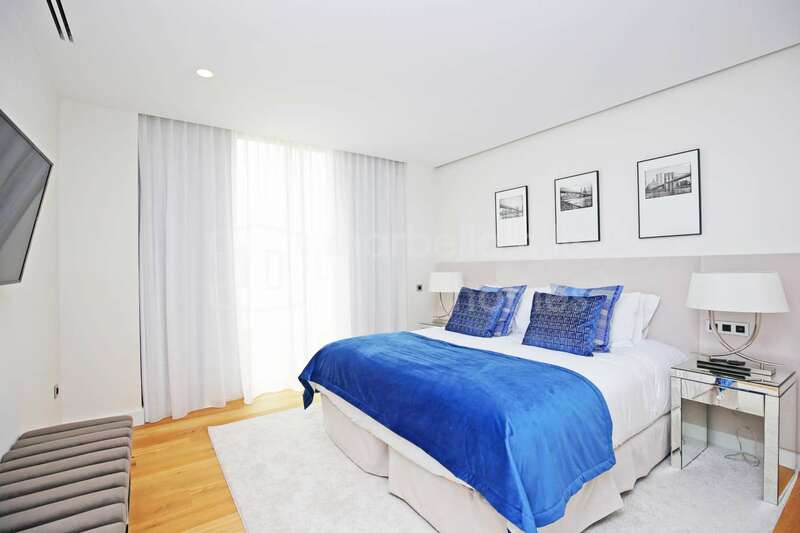 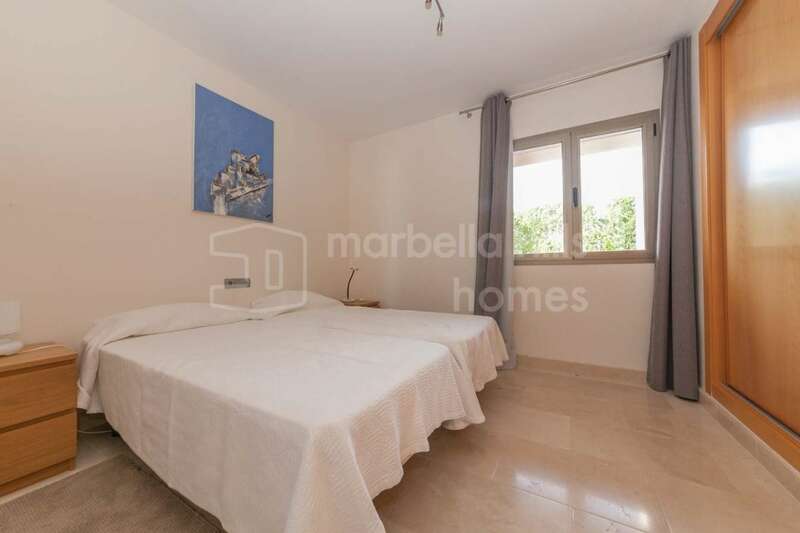 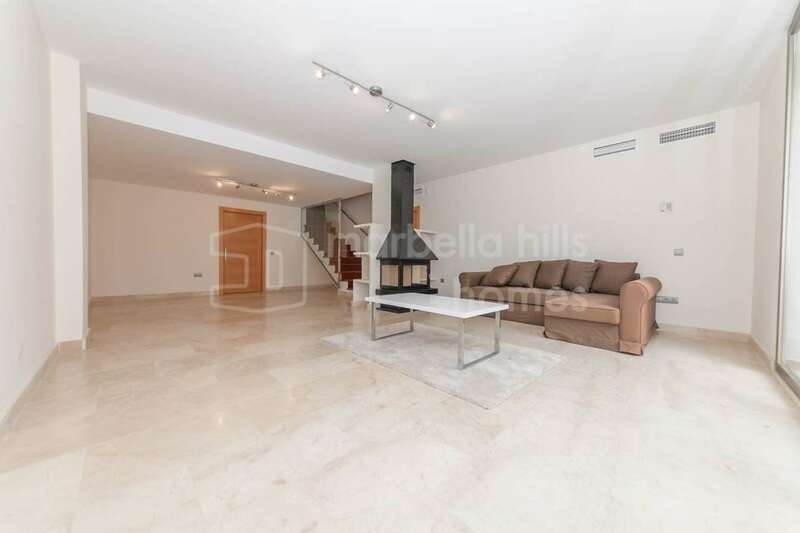 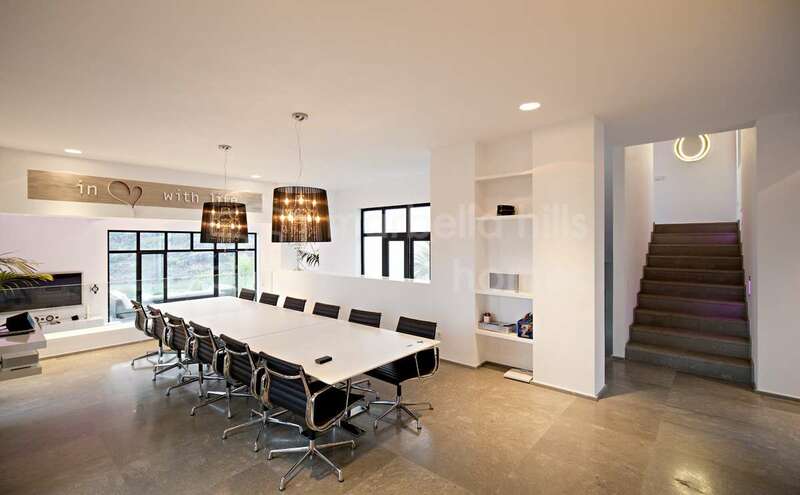 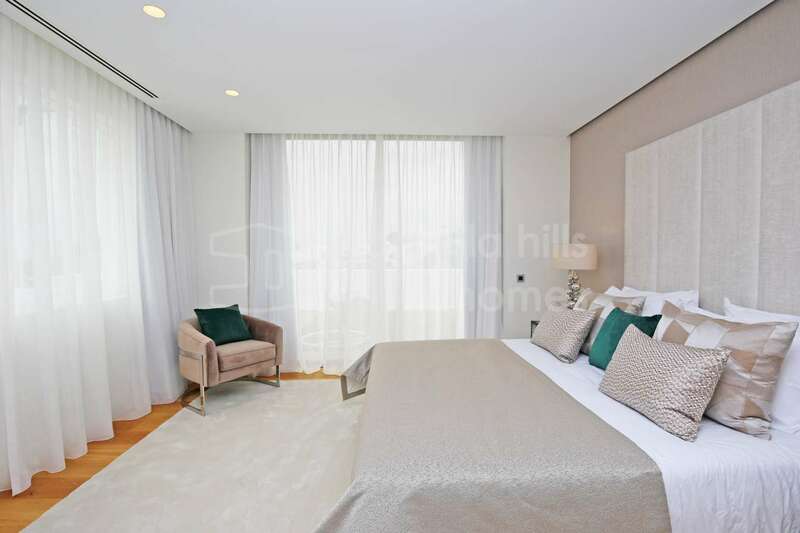 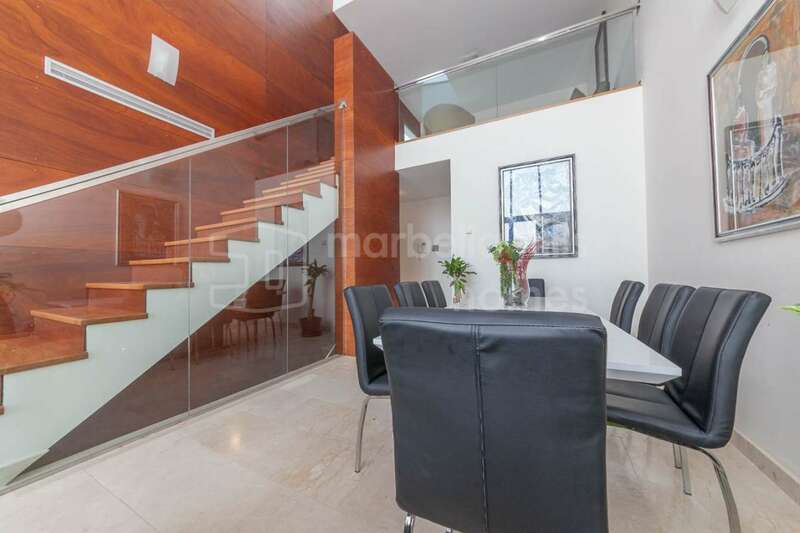 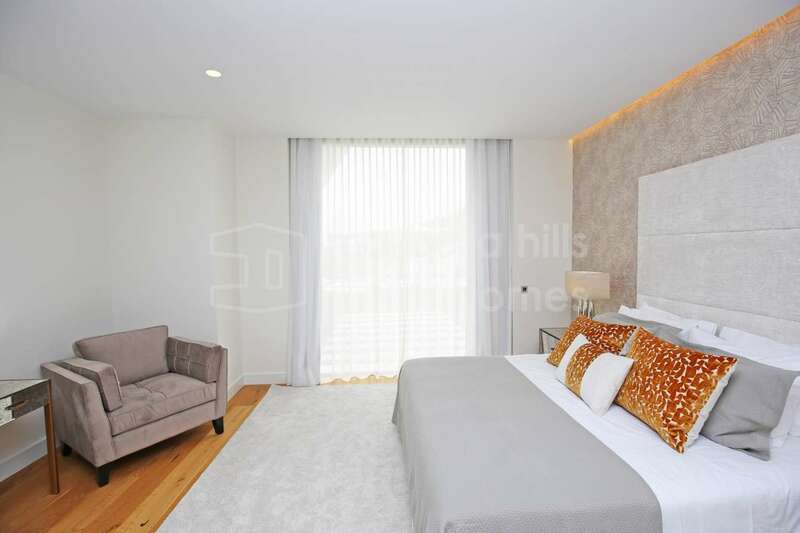 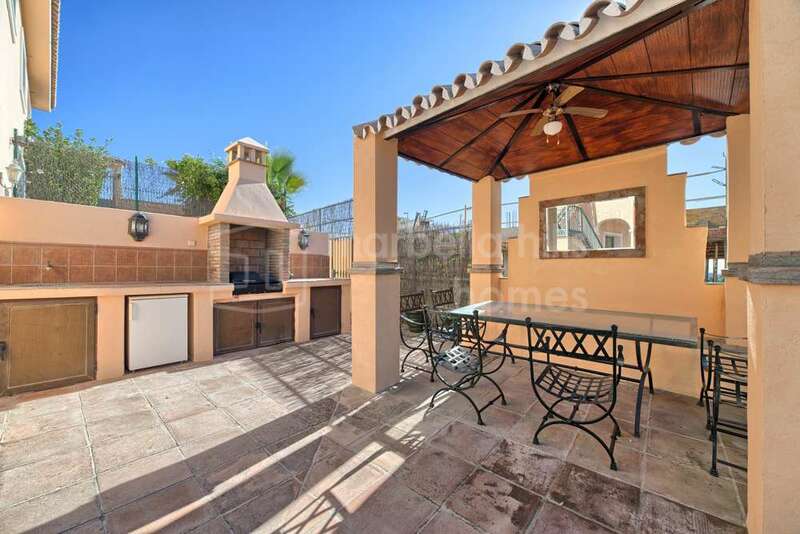 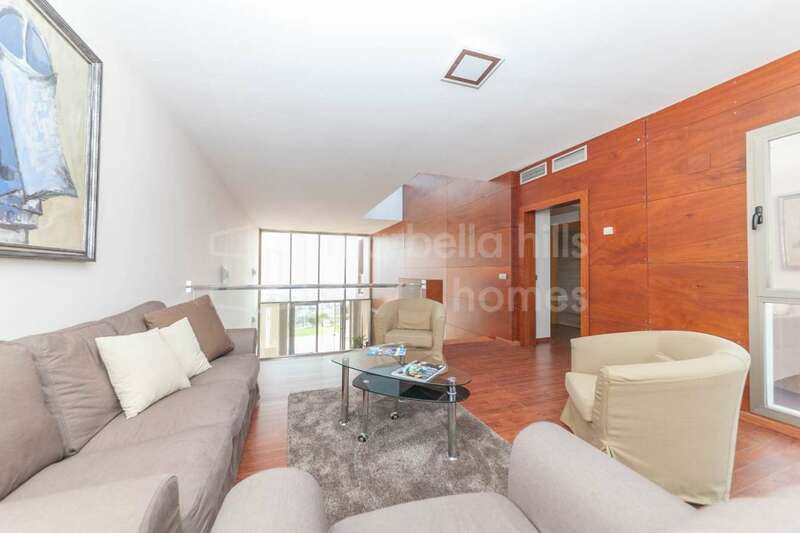 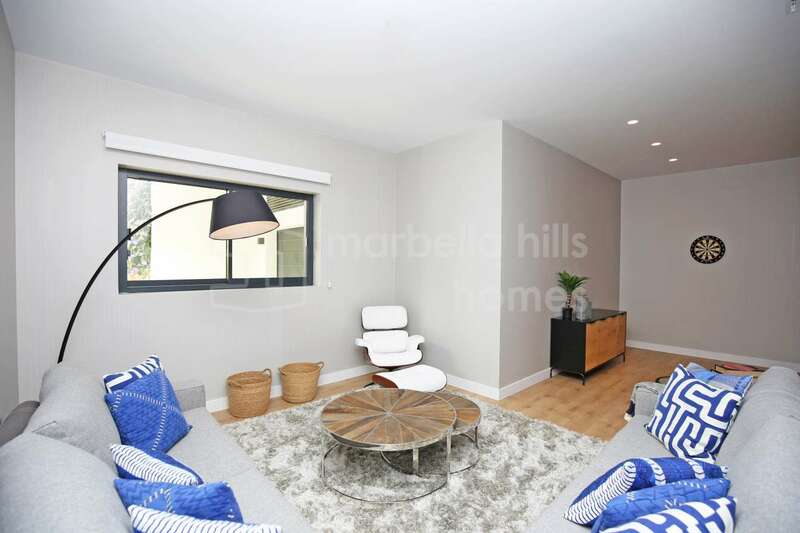 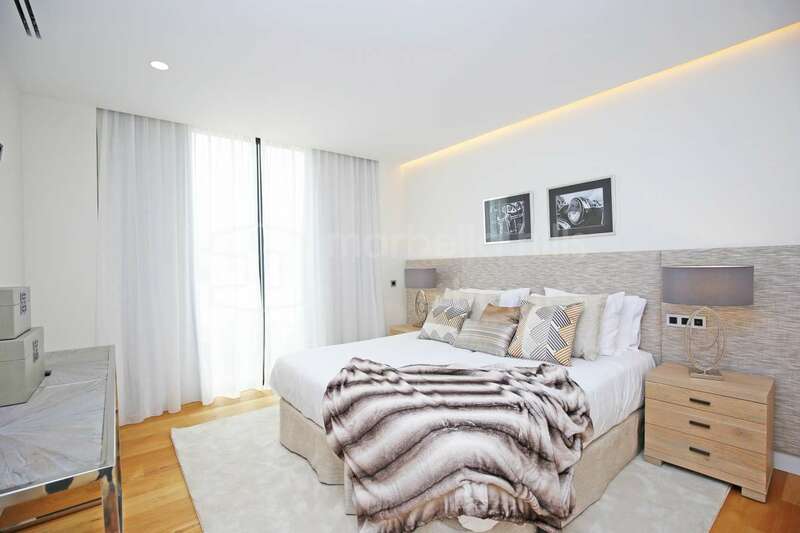 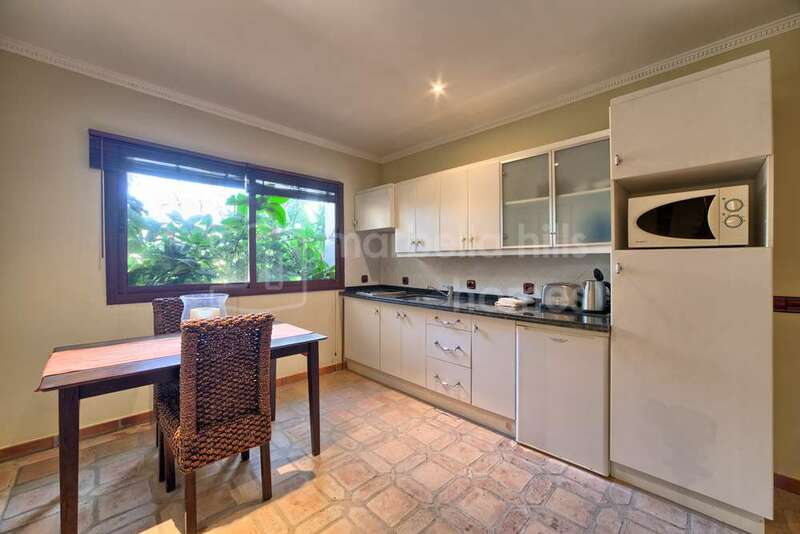 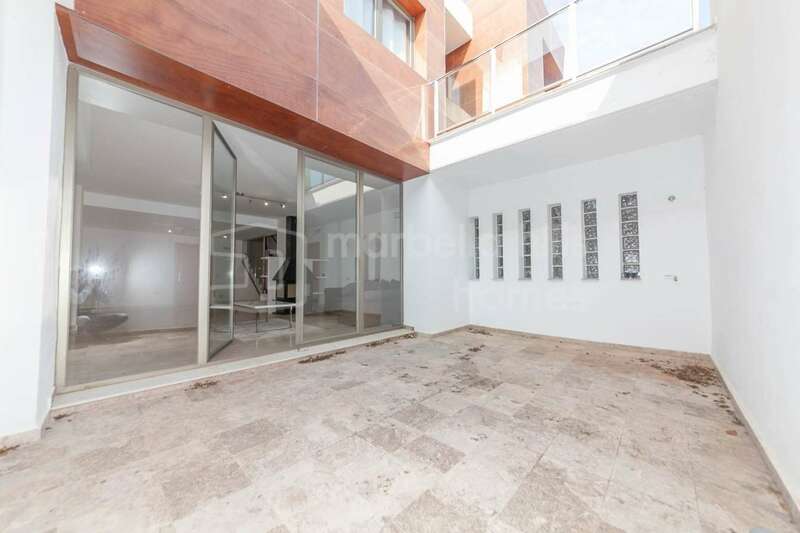 Located on a secure complex with its own private garden, designer kitchen, luxury bathrooms, large basement with natural light and double garage, this bright and spacious three bedroom townhouse must be seen to be fully appreciated. 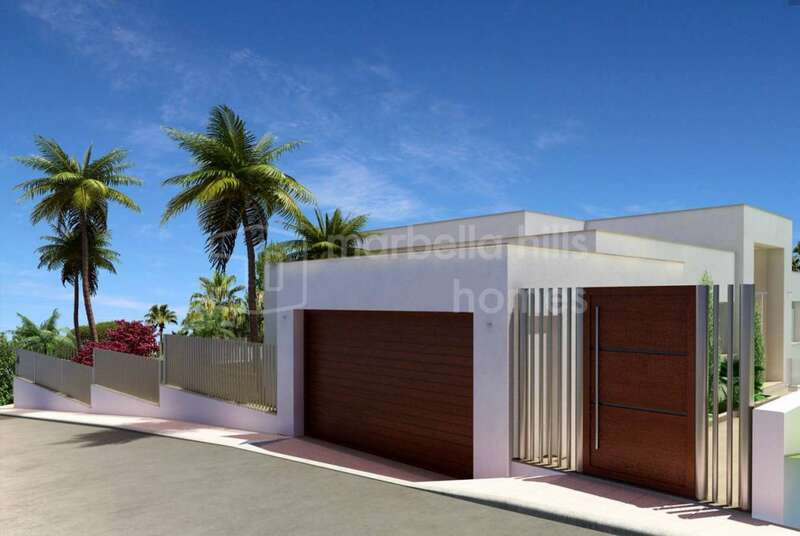 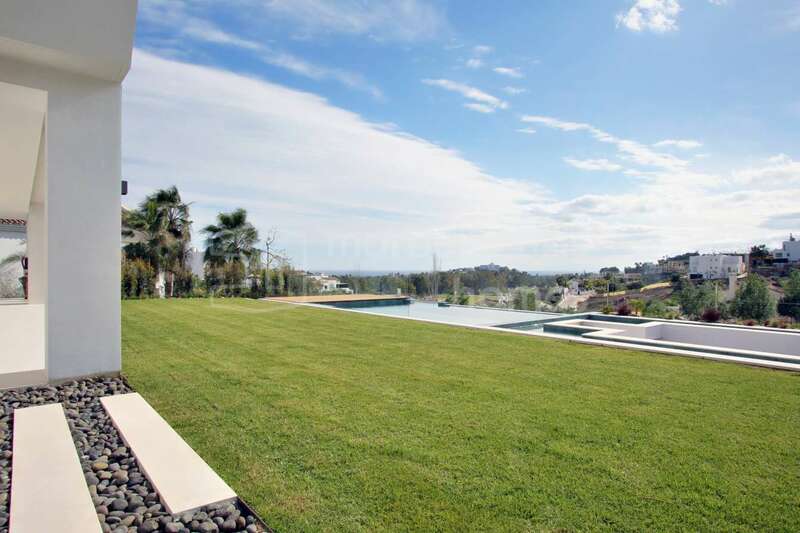 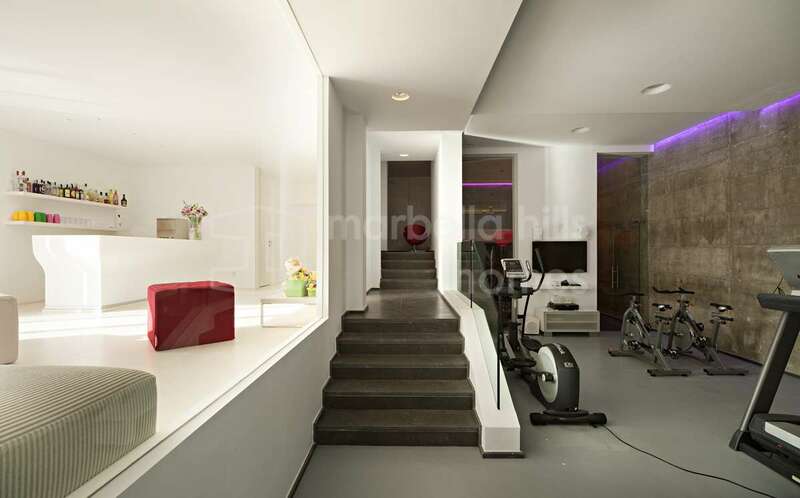 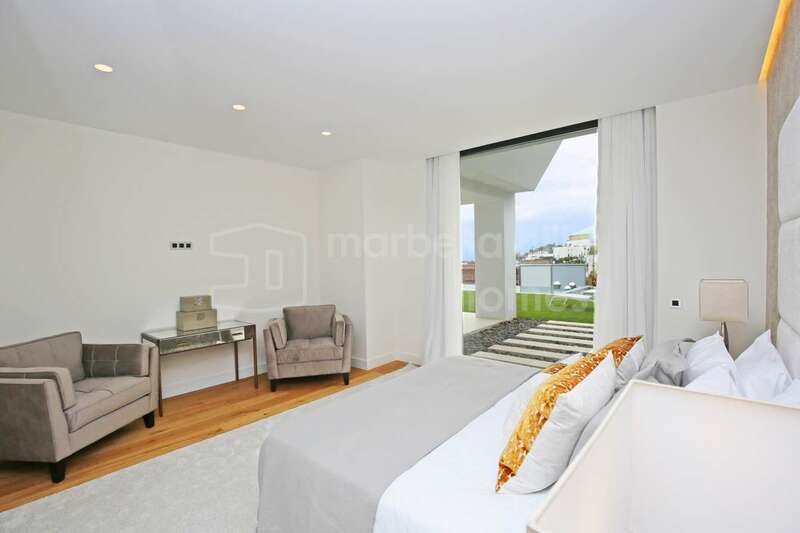 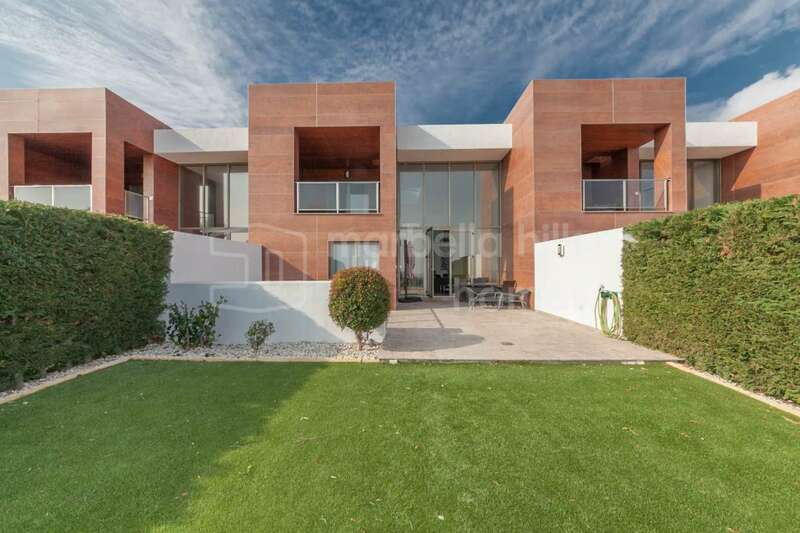 Plots for detached villas in La Alquería vary in size from around 1,000m2 to over 3,000m2. 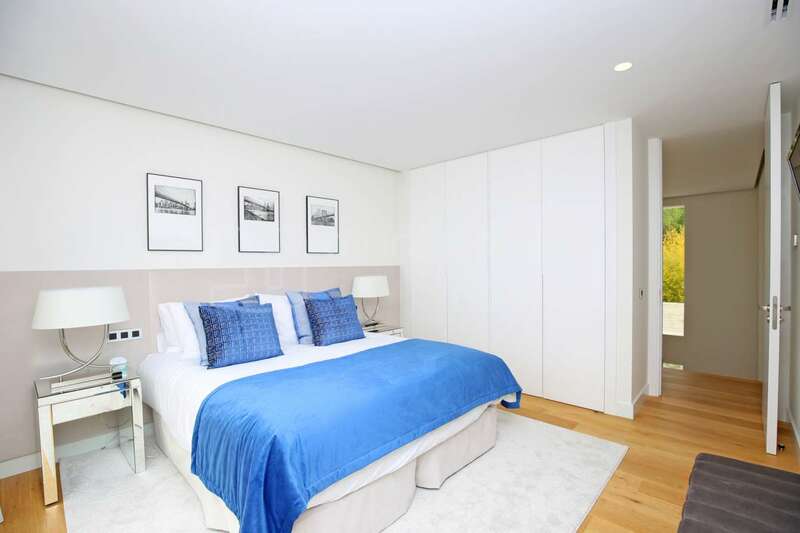 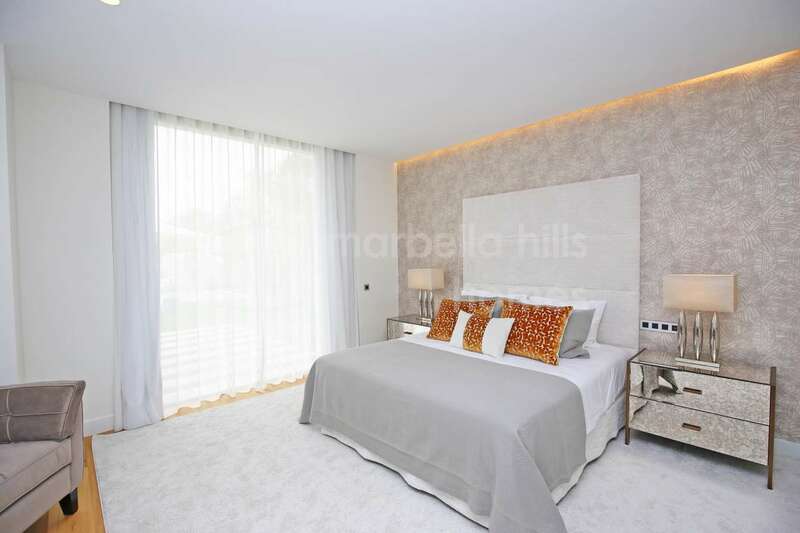 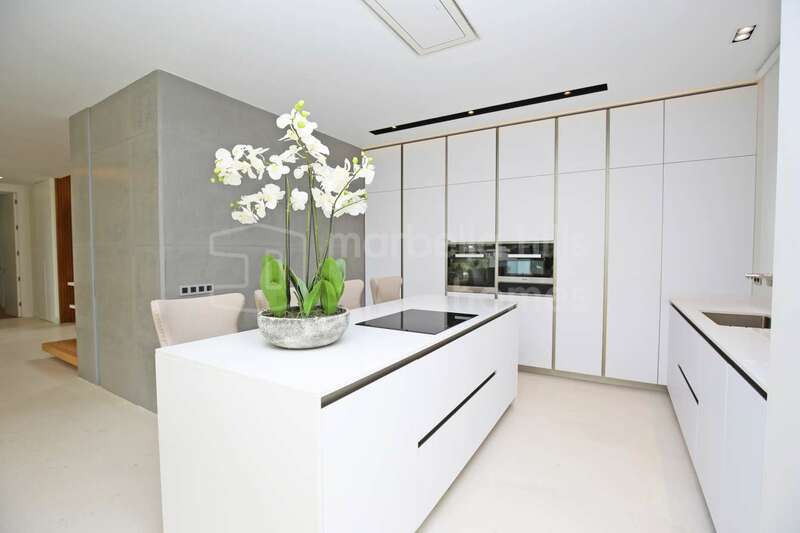 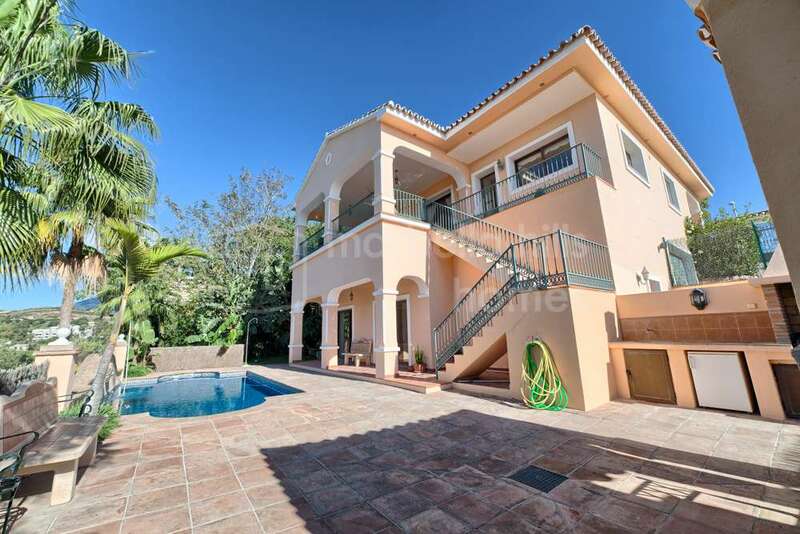 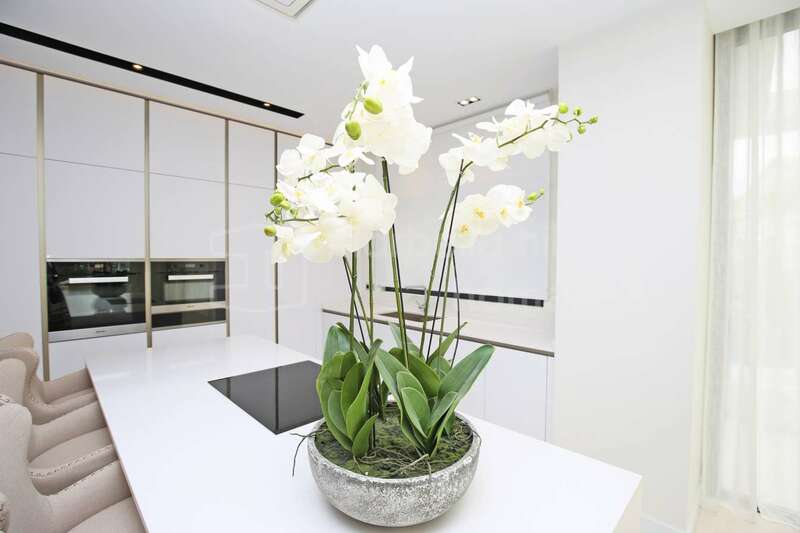 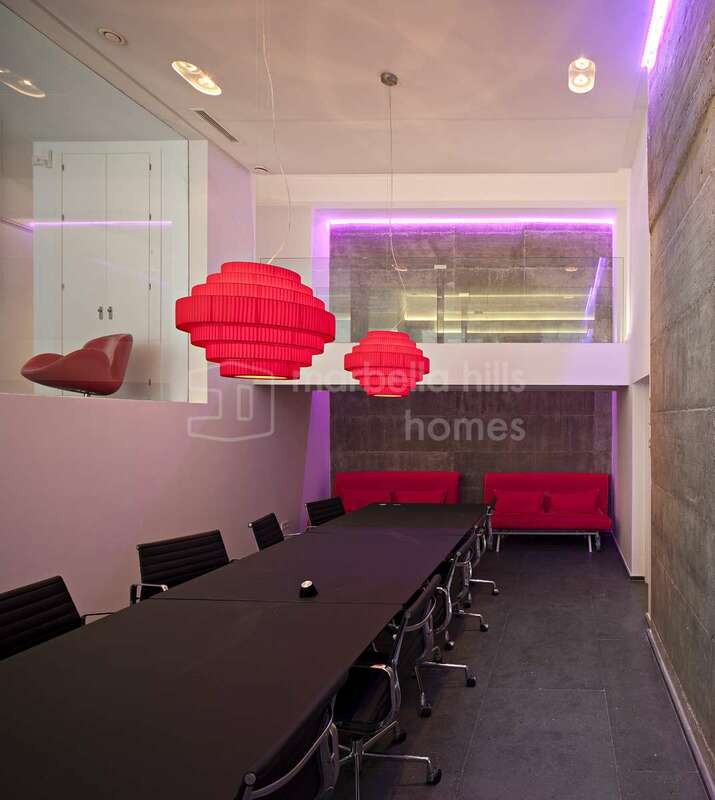 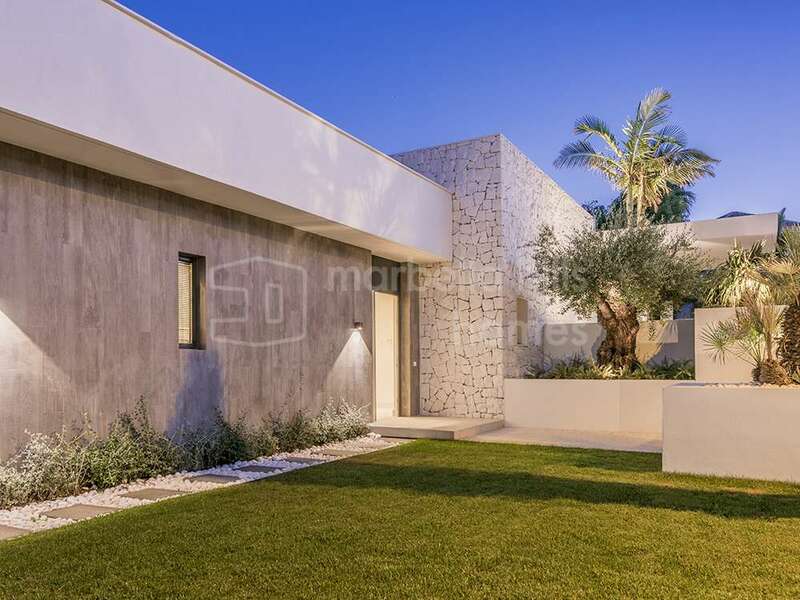 Although there are some more traditional villas, the majority of properties are modern and contemporary offering all the latest mod cons and design features. 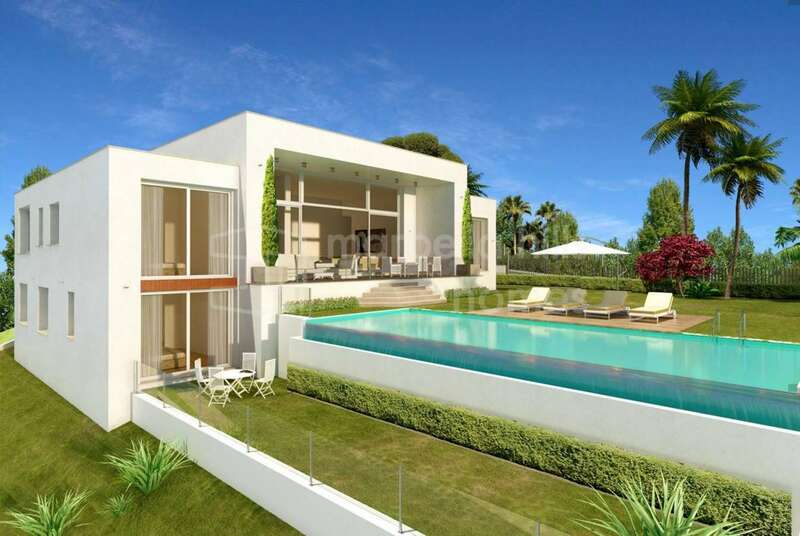 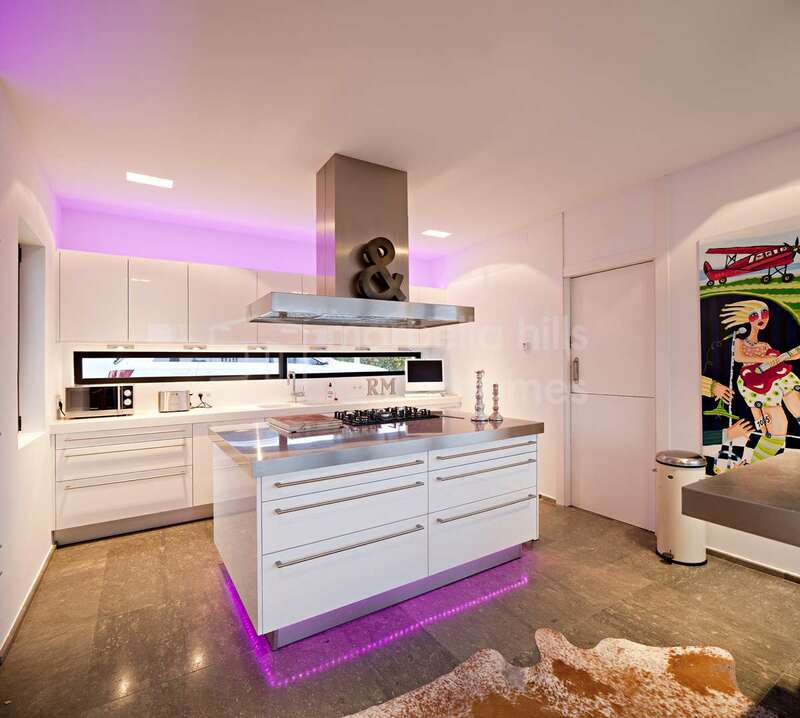 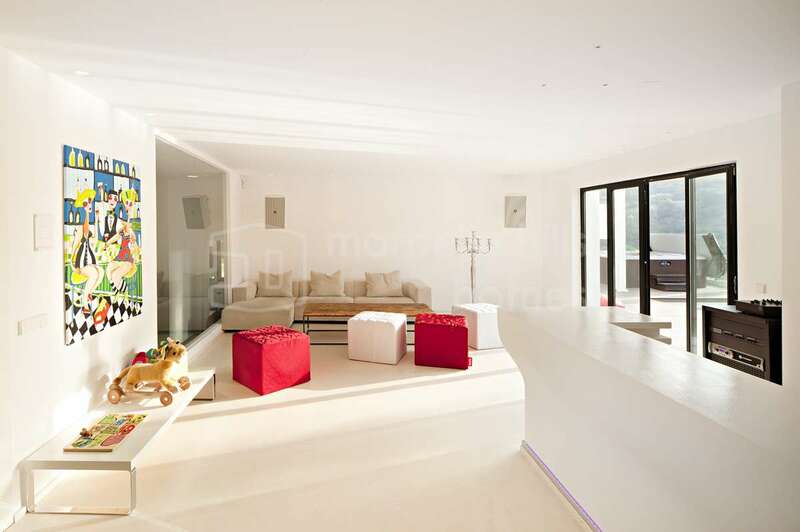 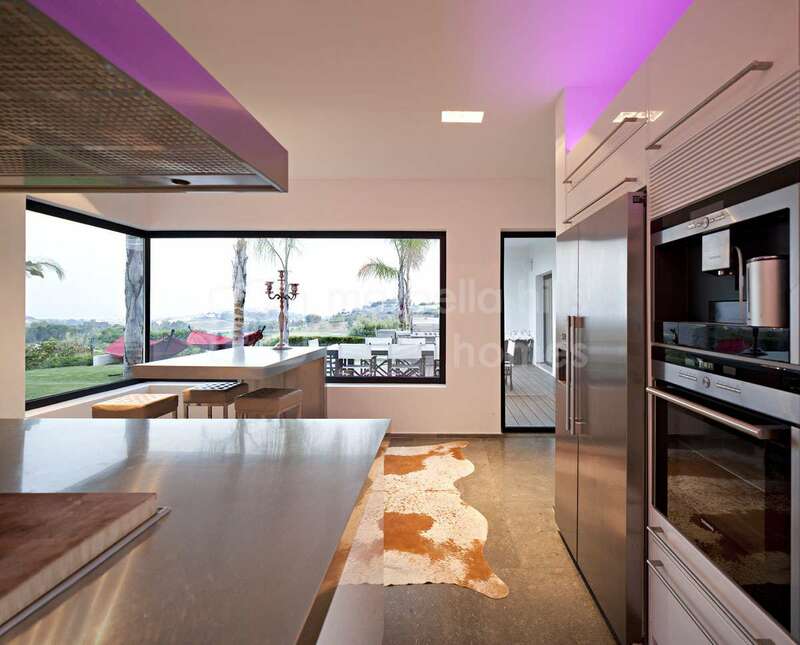 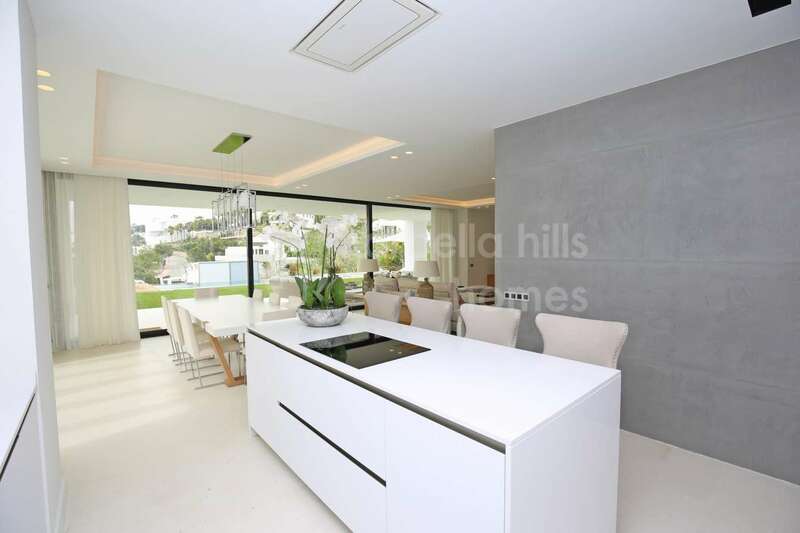 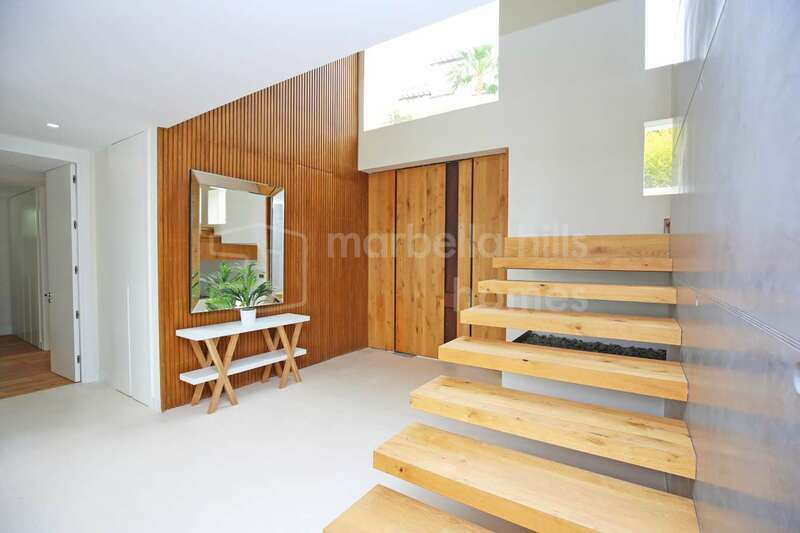 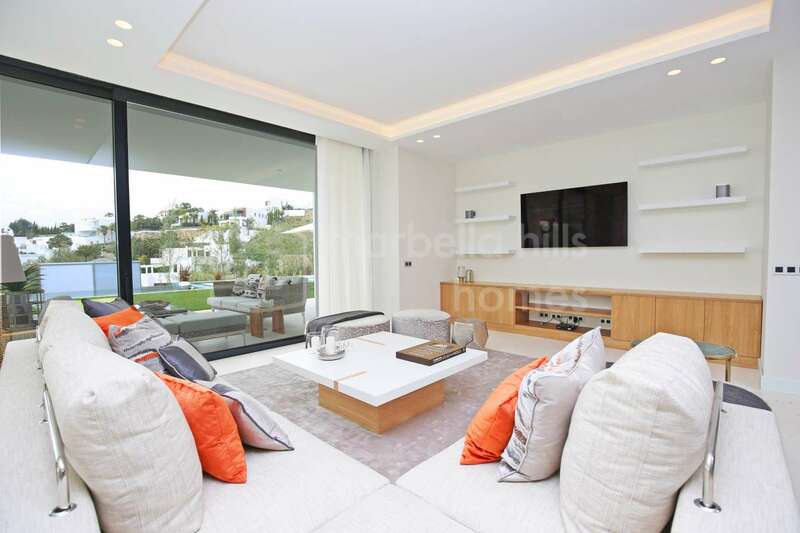 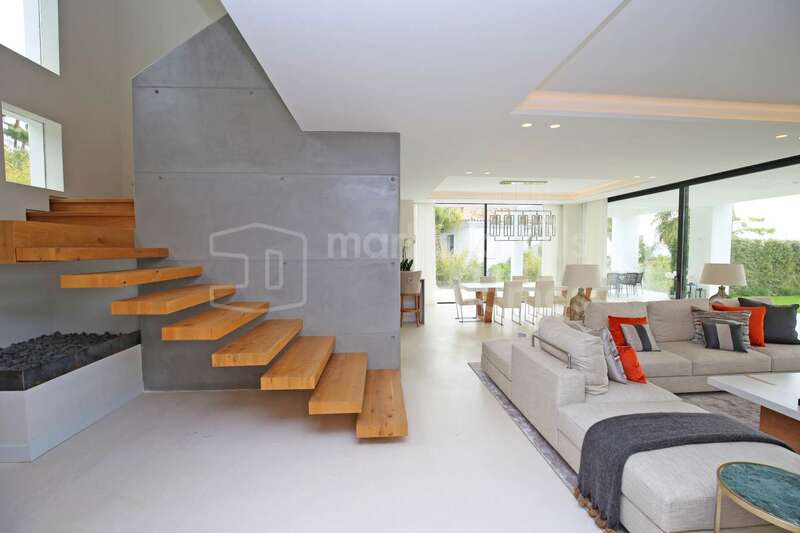 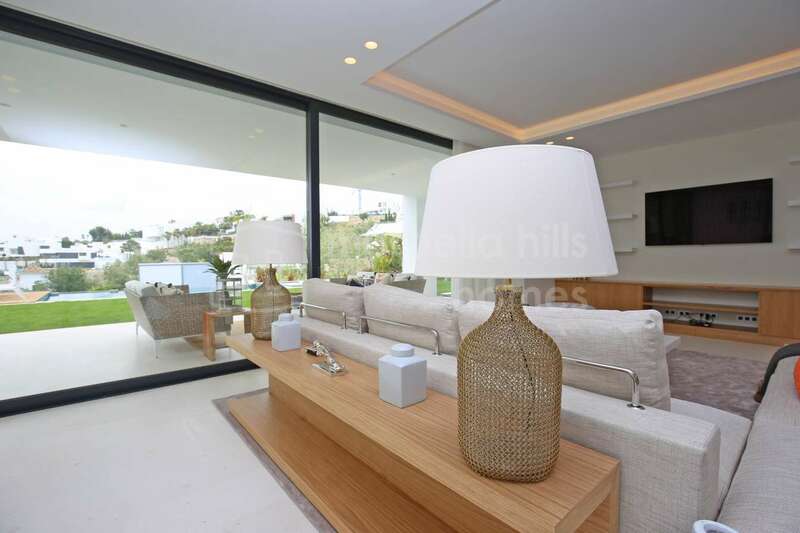 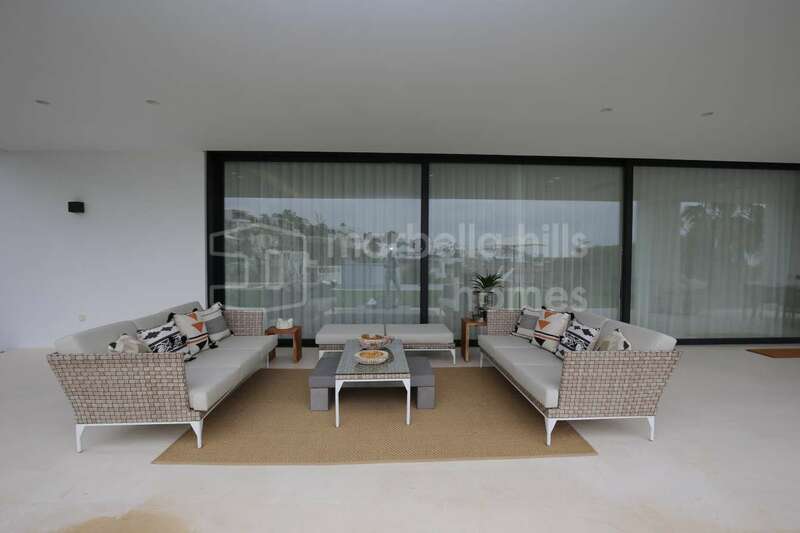 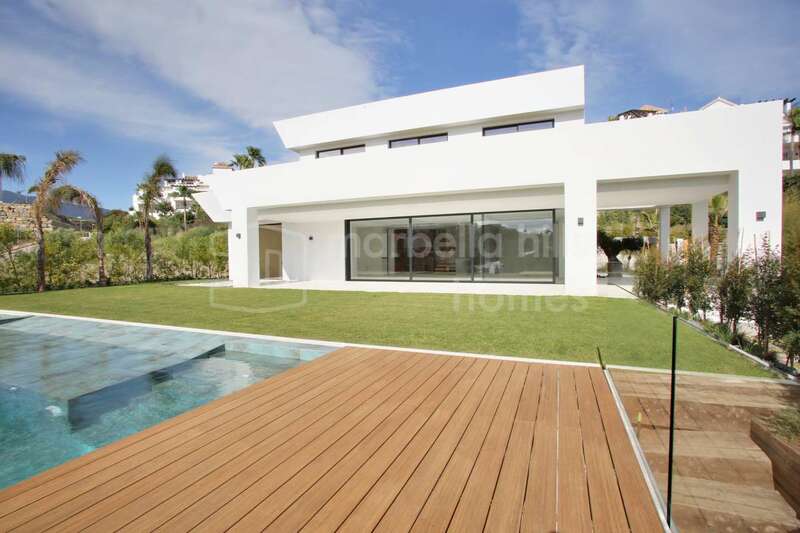 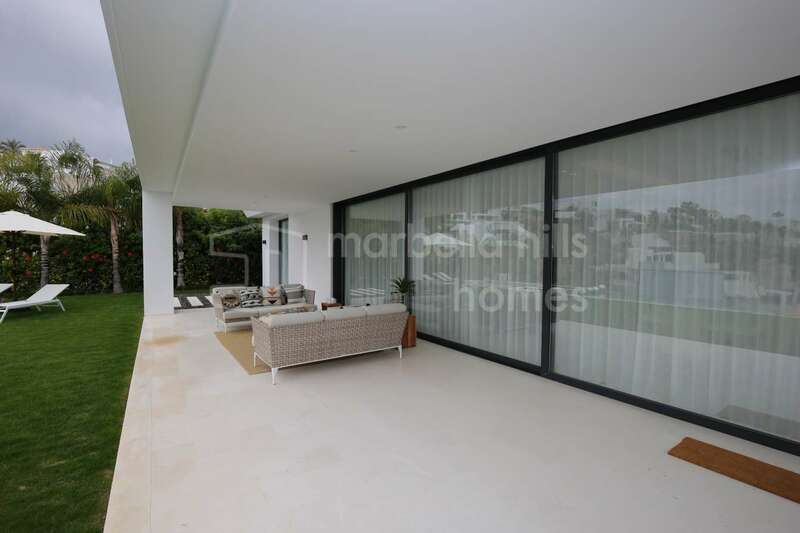 This Ibiza style, brand new designer villa is a great example. 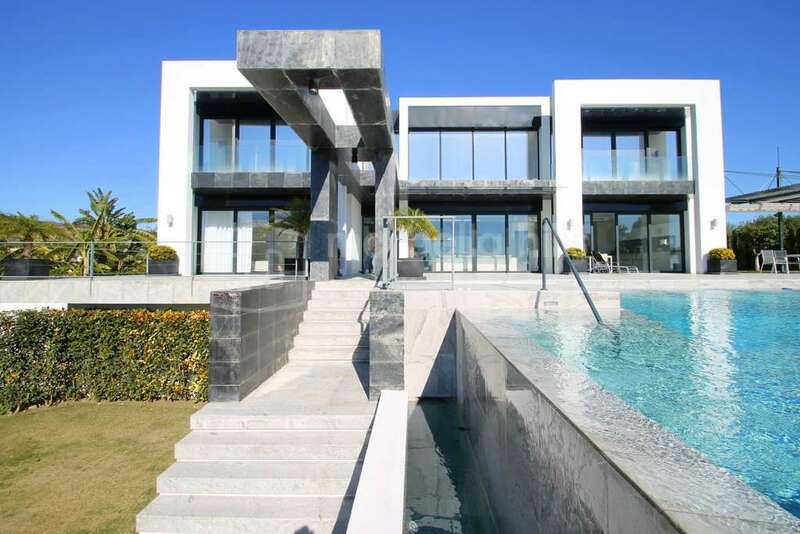 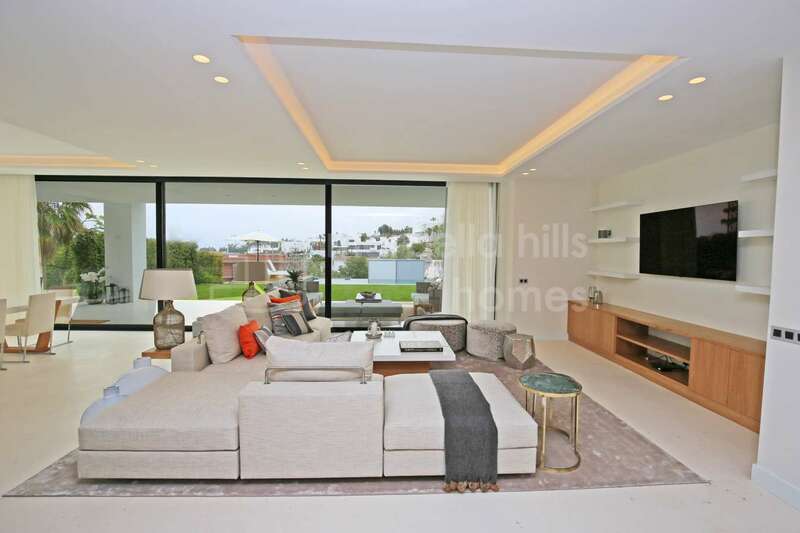 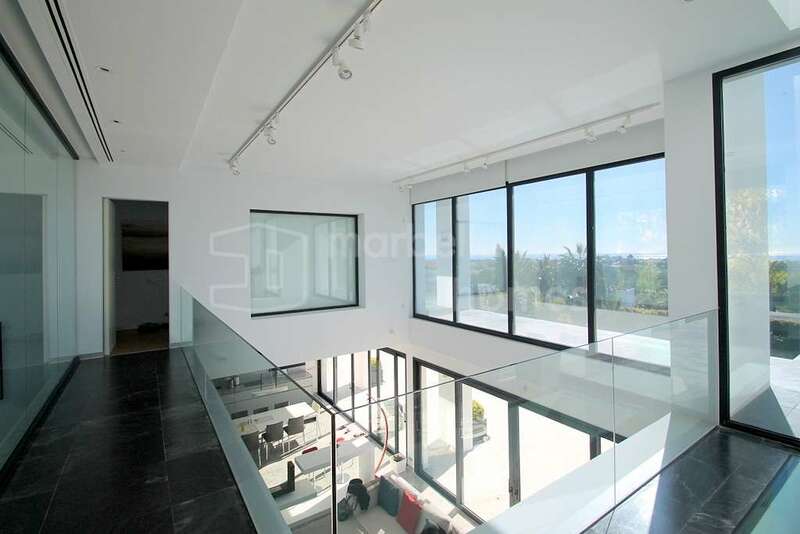 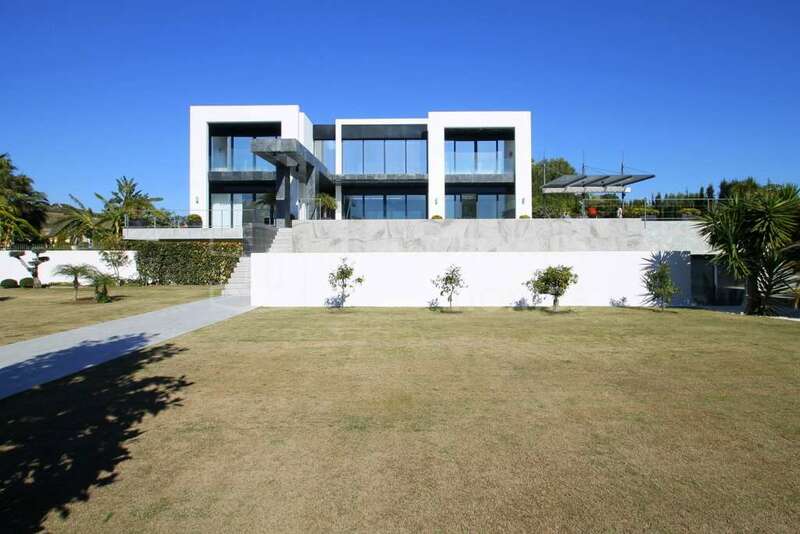 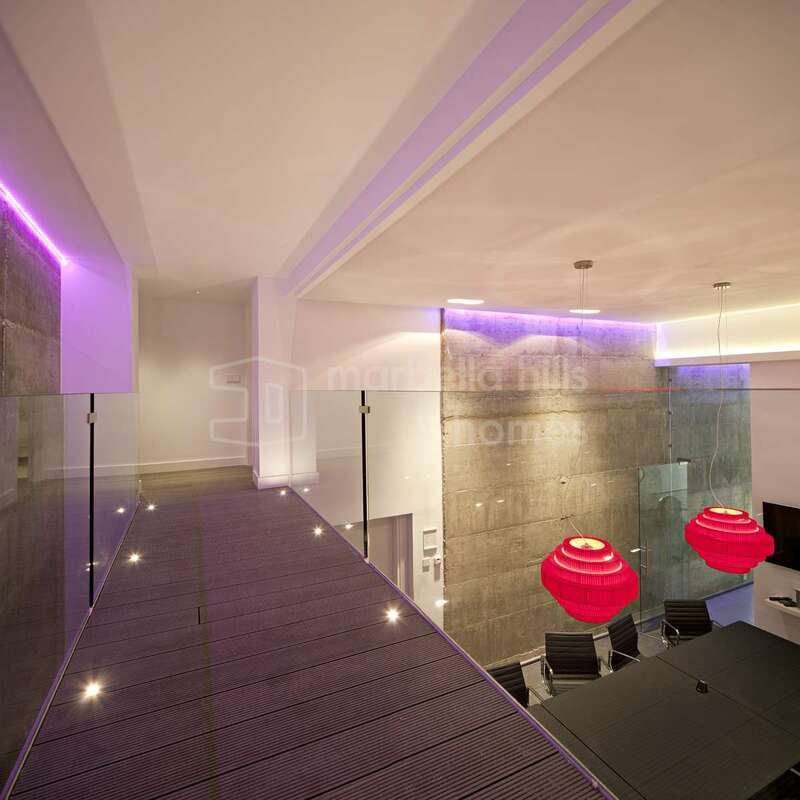 Enjoying incredible 360º views, this 1,000m2 property boasts extraordinary space and light, a glass lift, heated lagoon effect party pool, open plan reception rooms, six bedrooms, gymnasium, bodega, garage parking for five cars and terrace with access from every room. 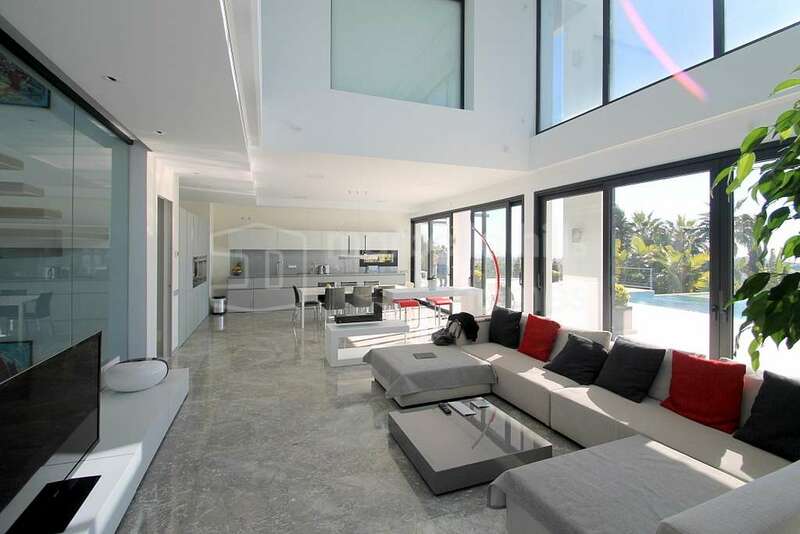 It’s certainly got the wow factor! 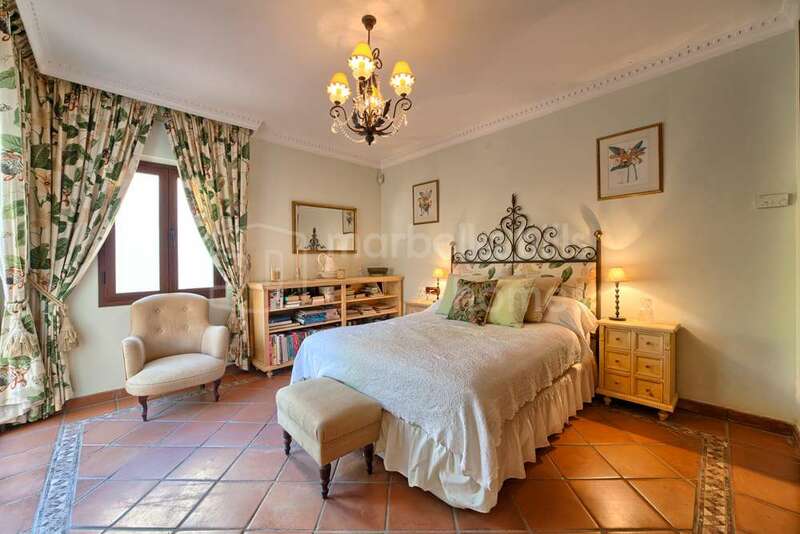 La Alqueria is also home to Colegio Atalaya, a bilingual school for children aged three to 18 and a popular supermarket. 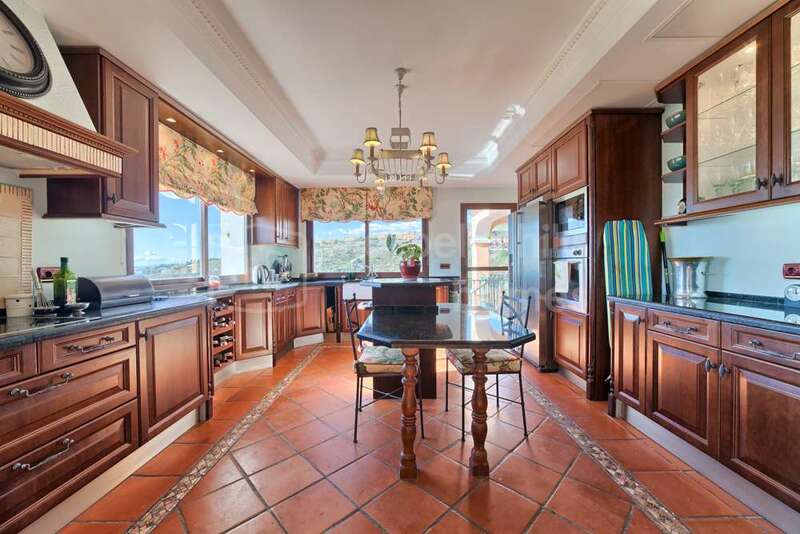 Just a short drive away, the village of Benahavis, is home to some of the best restaurants on the Costa del Sol. 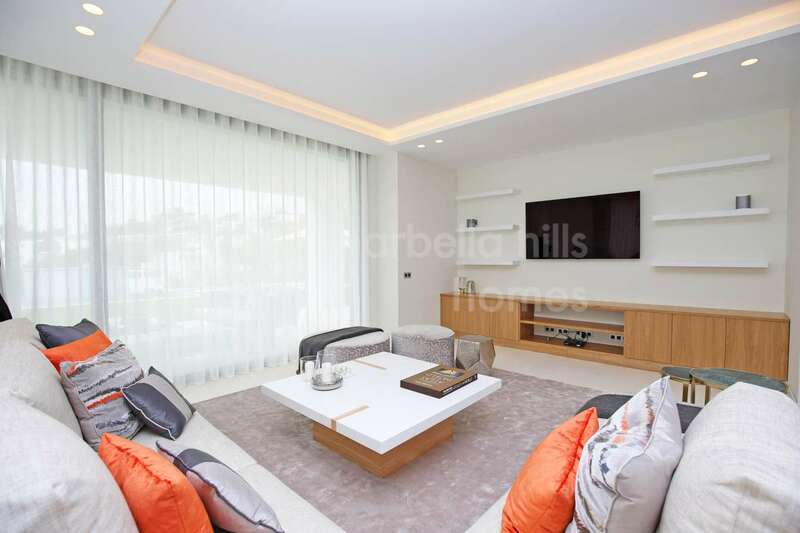 There’s a whole host of shops, cafés, bars, supermarkets, banks, pharmacies and more, all within five minutes’ drive to the commercial centres of Diana Park and Benavista. 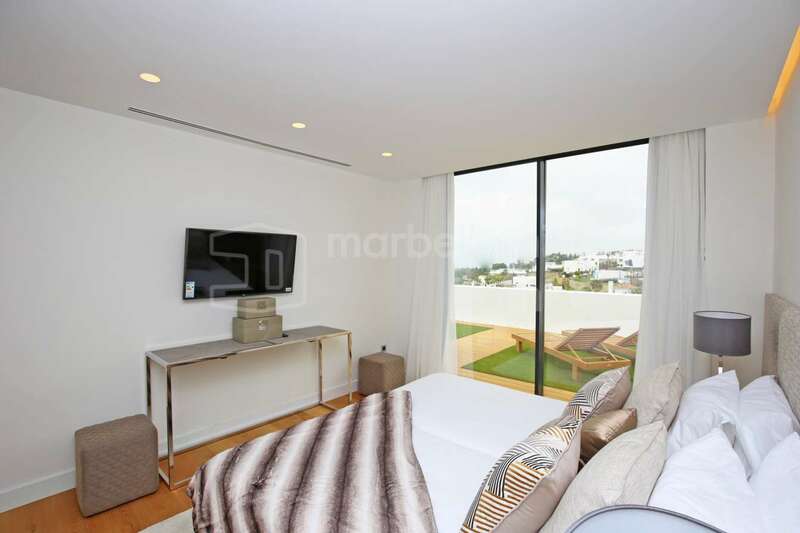 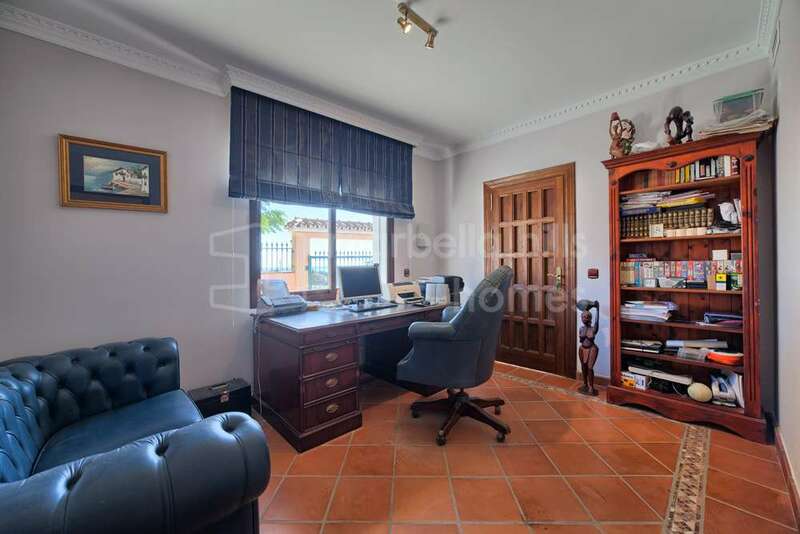 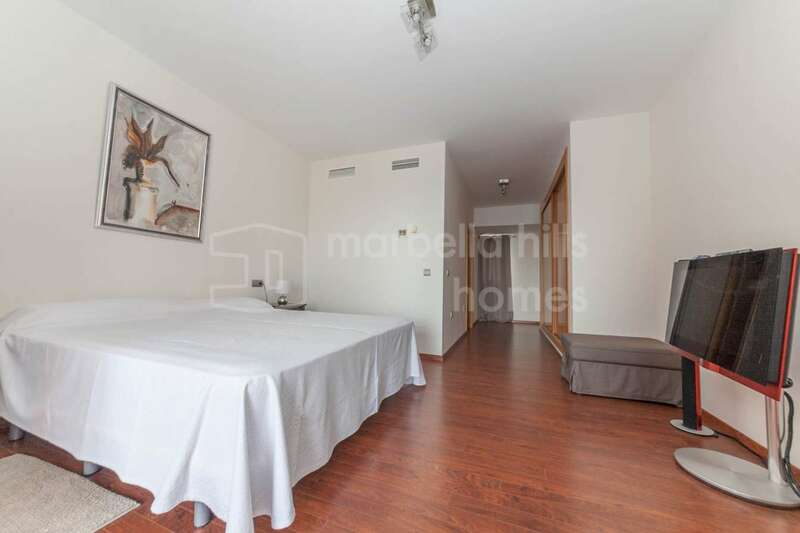 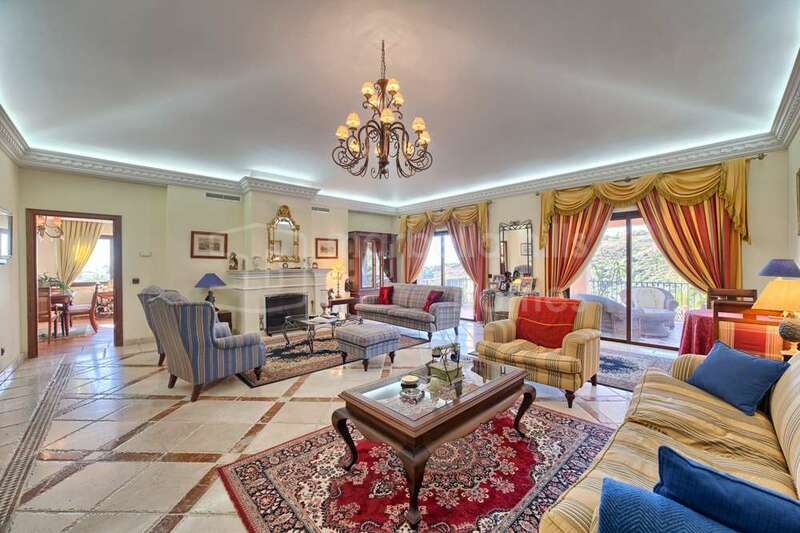 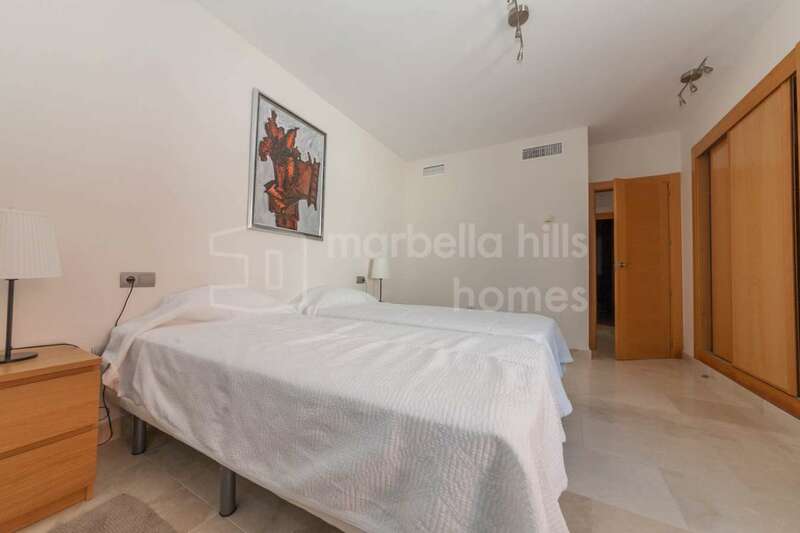 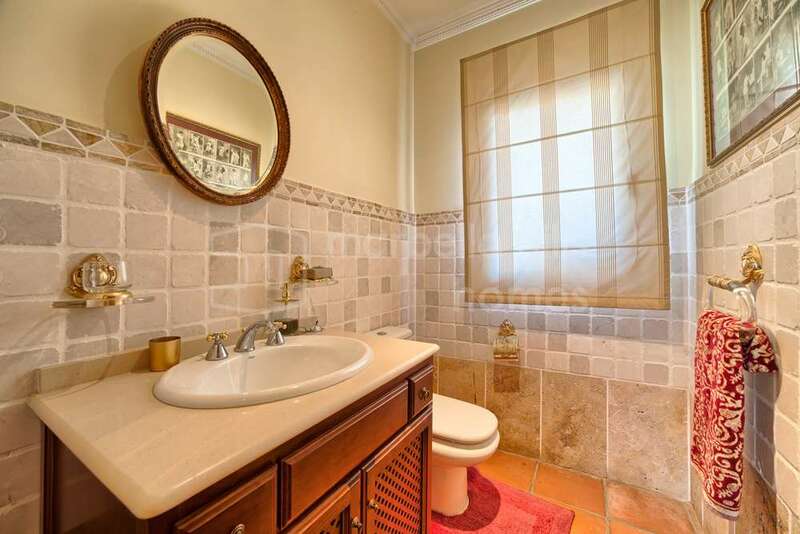 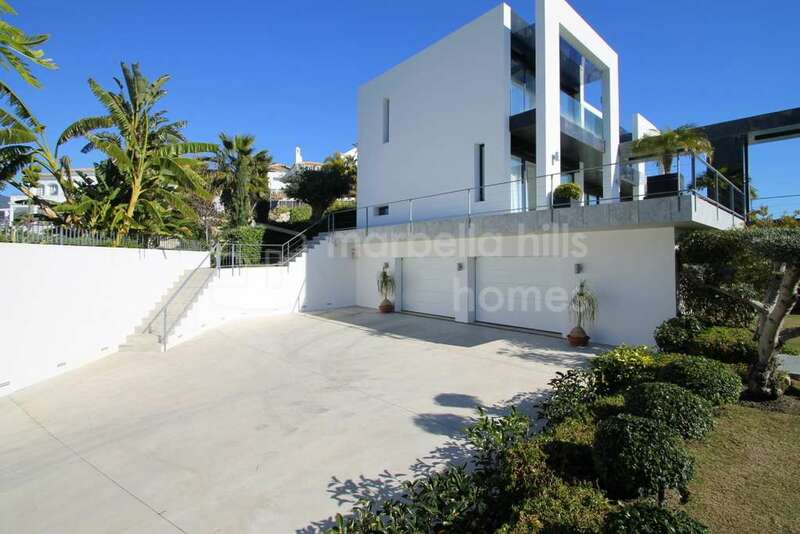 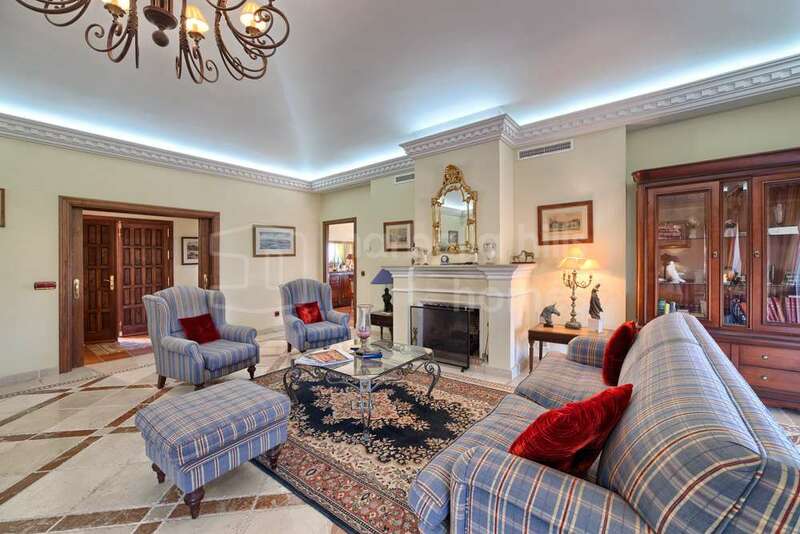 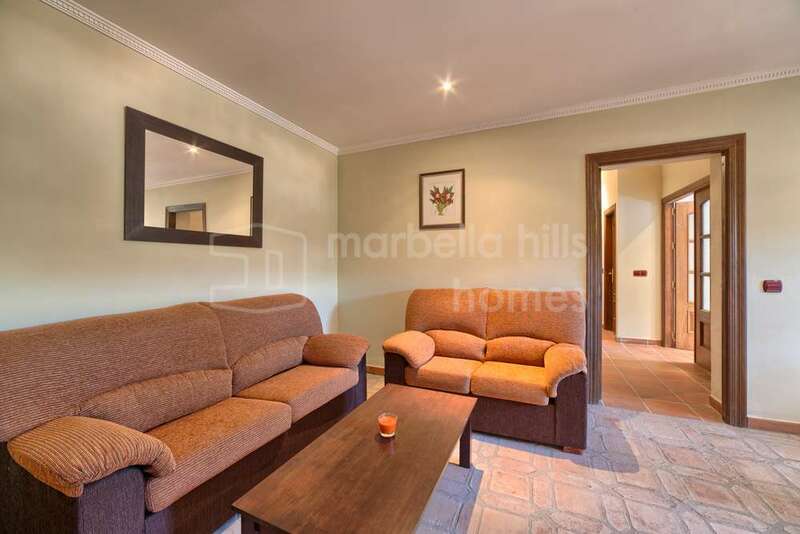 Marbella, Puerto Banús and Estepona can be reached in ten to fifteen minutes; Málaga Airport within an hour. 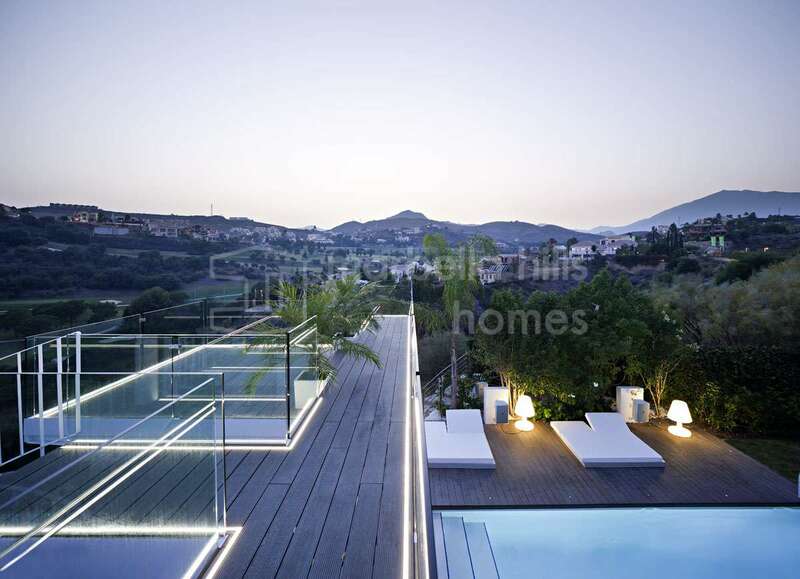 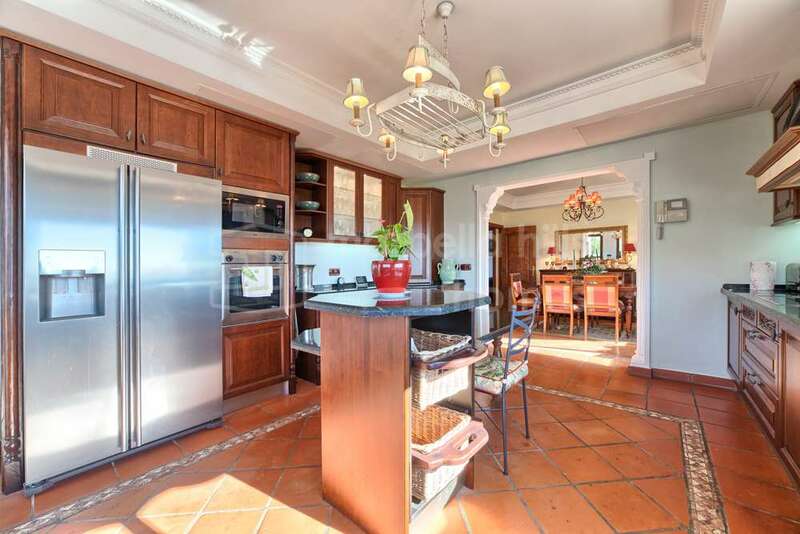 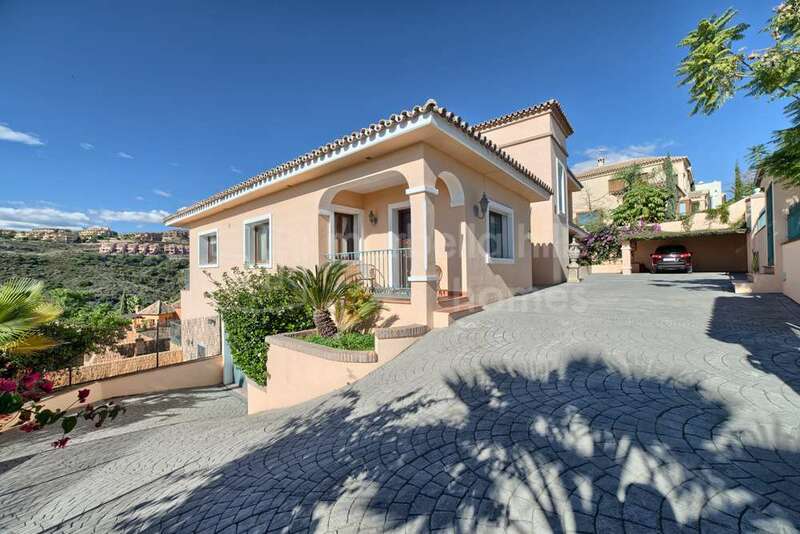 It’s plain to see the appeal of La Alquería to families setting up home on the Costa del Sol as well as those seeking luxurious holiday homes from where they can admire glorious sunsets from terraces with great views. 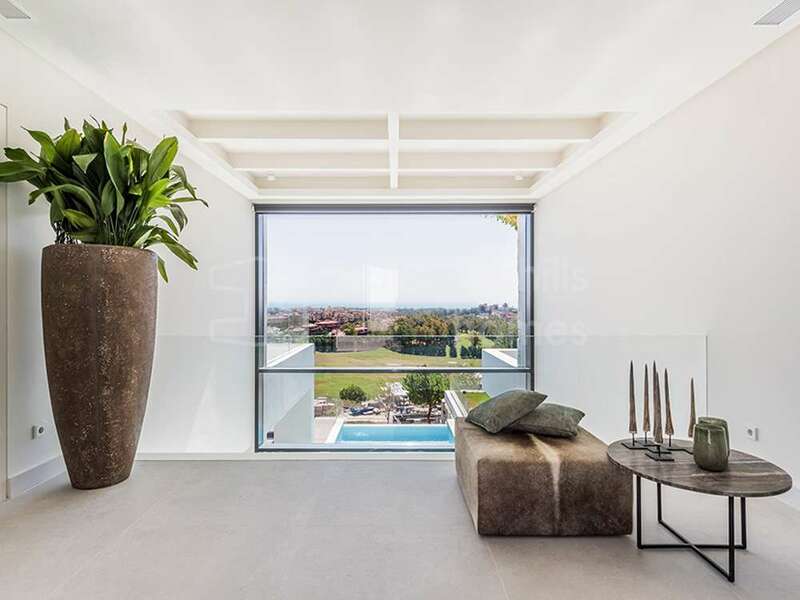 Convenience, affordability and proximity to amenities come together to ensure that La Alquería is one area that’s going from strength to strength in today’s housing market.